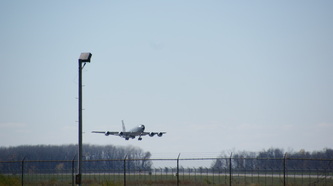 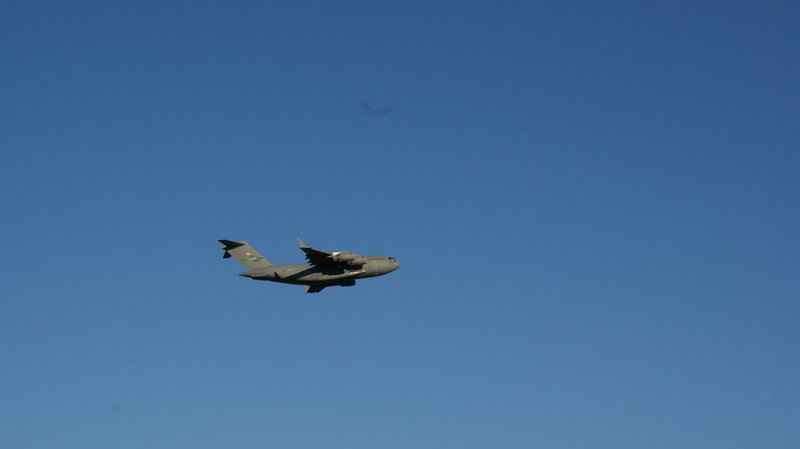 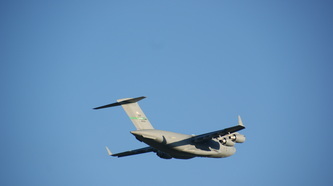 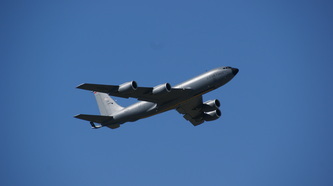 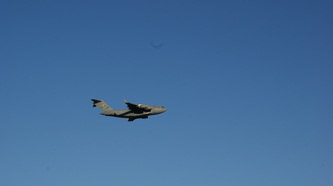 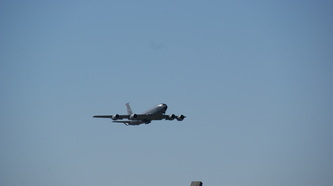 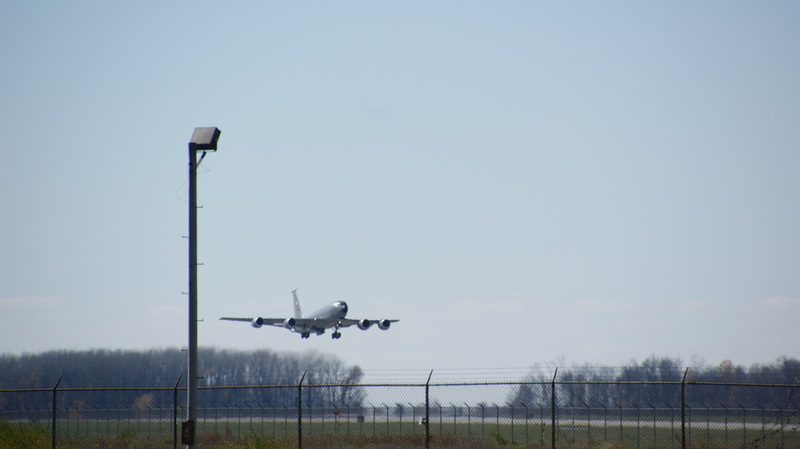 Saturday October 27 was a beautiful but cool (cold) day. 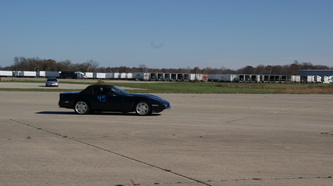 The day started out at freezing but inched it's way up to 52 during the afternoon runs. 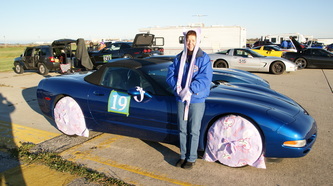 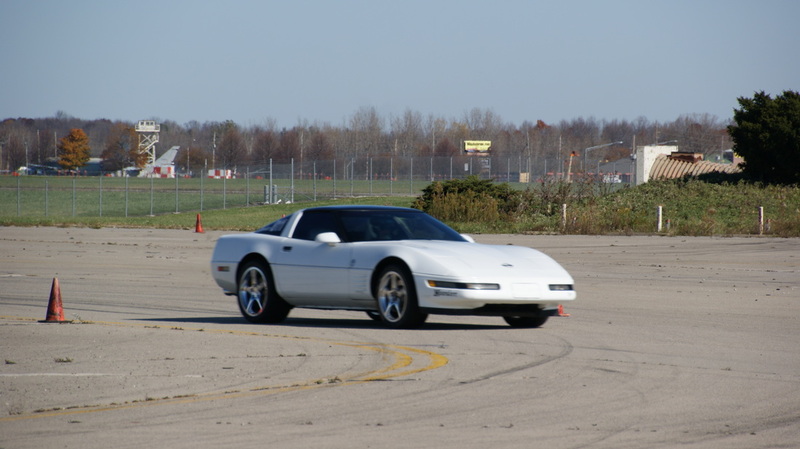 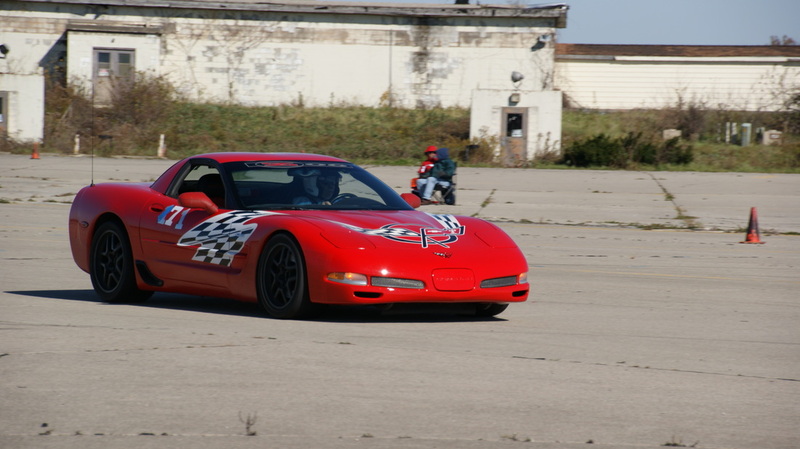 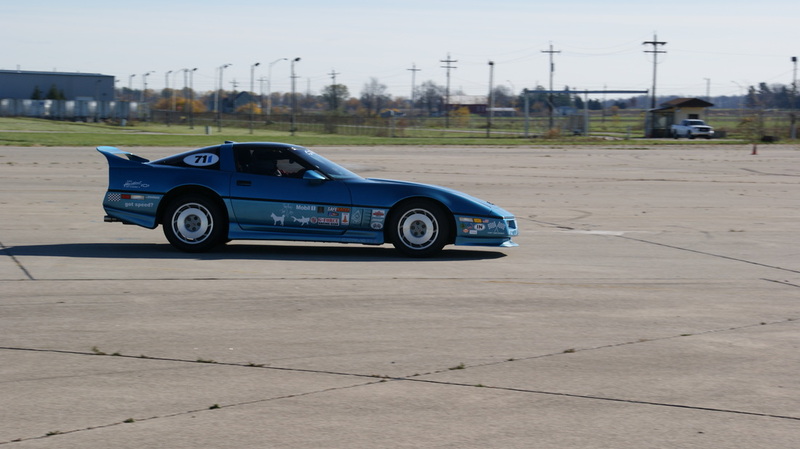 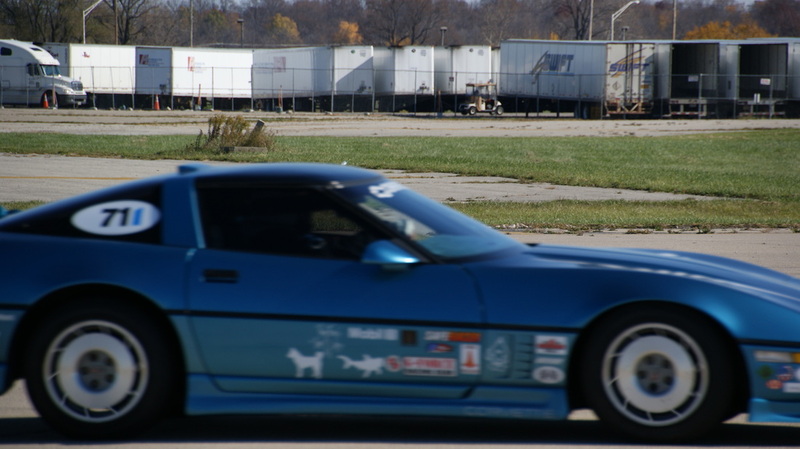 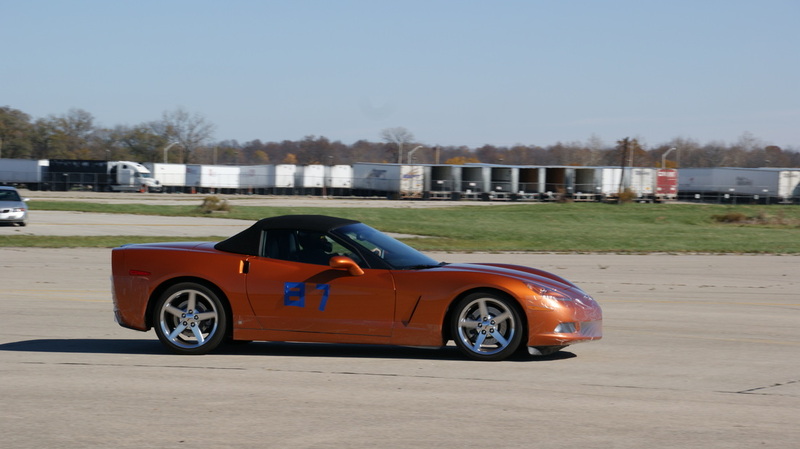 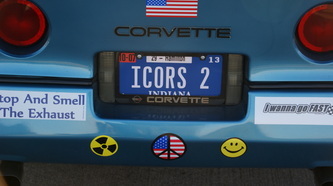 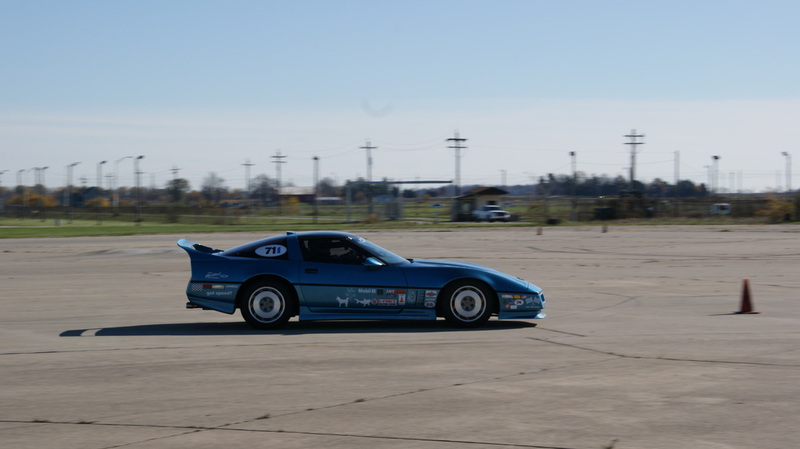 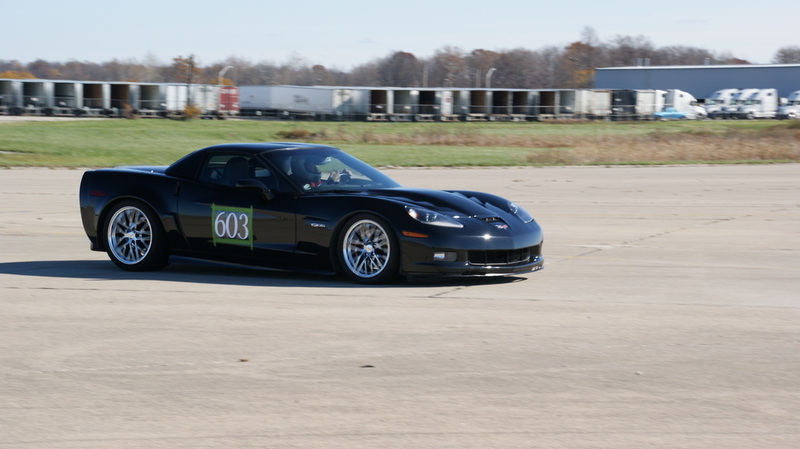 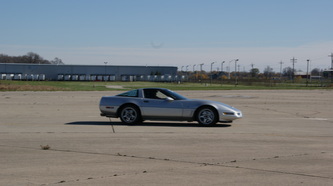 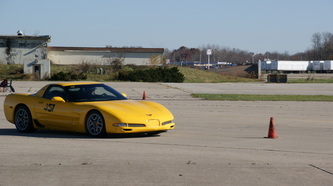 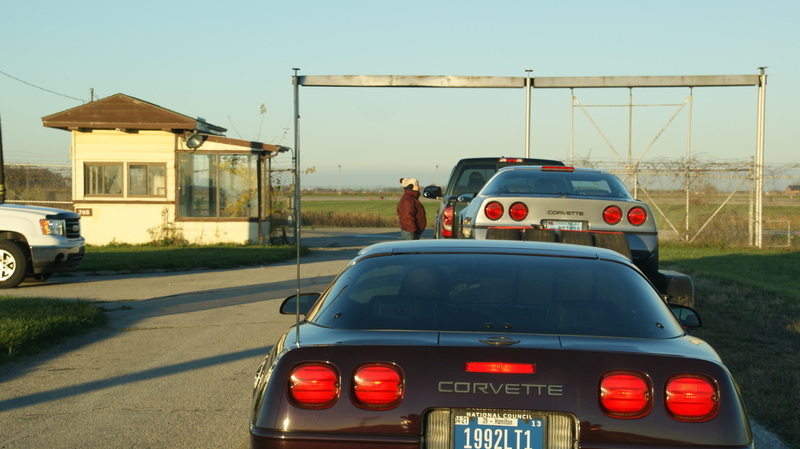 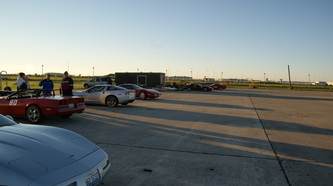 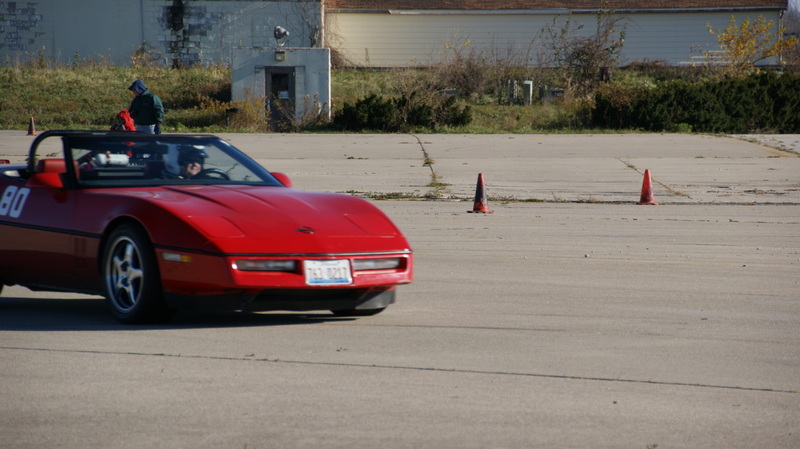 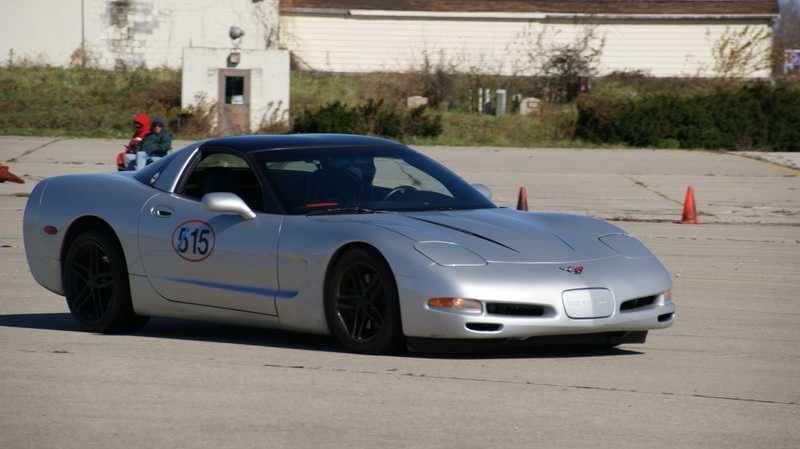 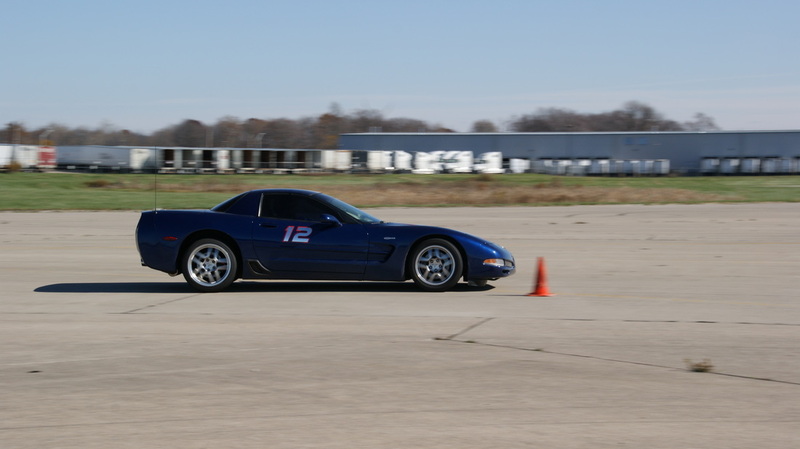 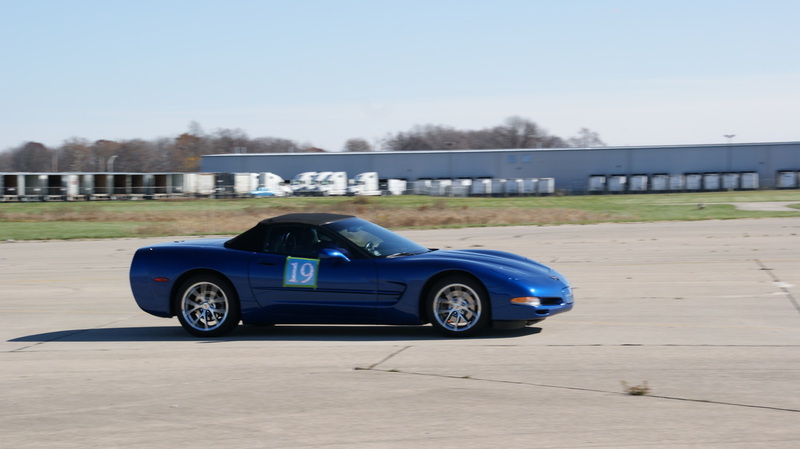 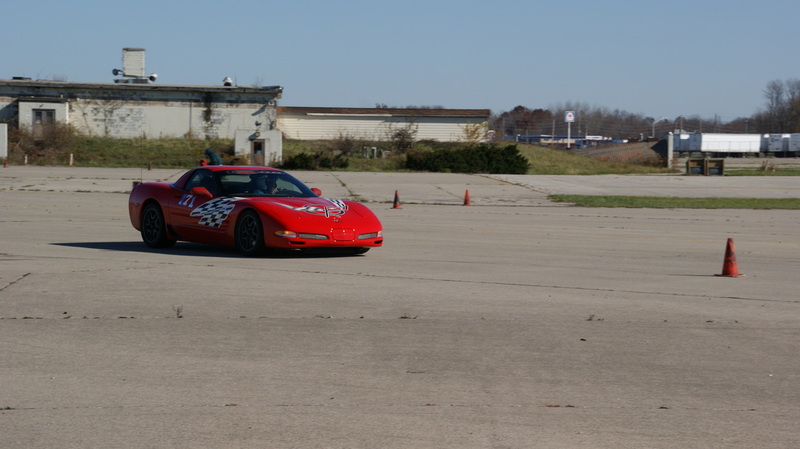 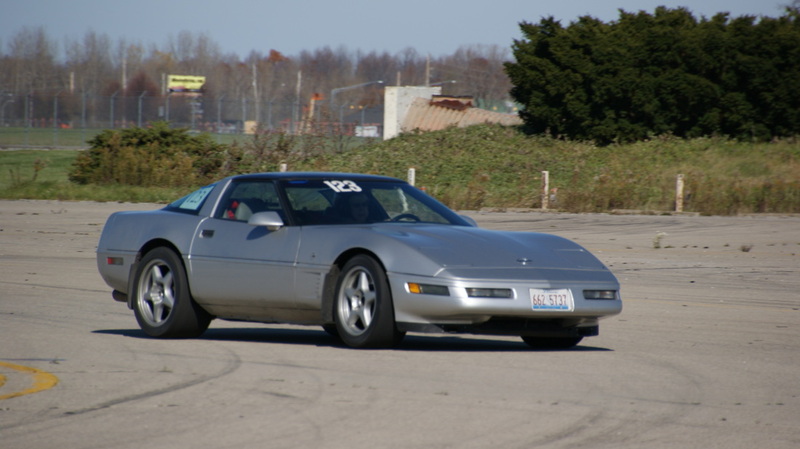 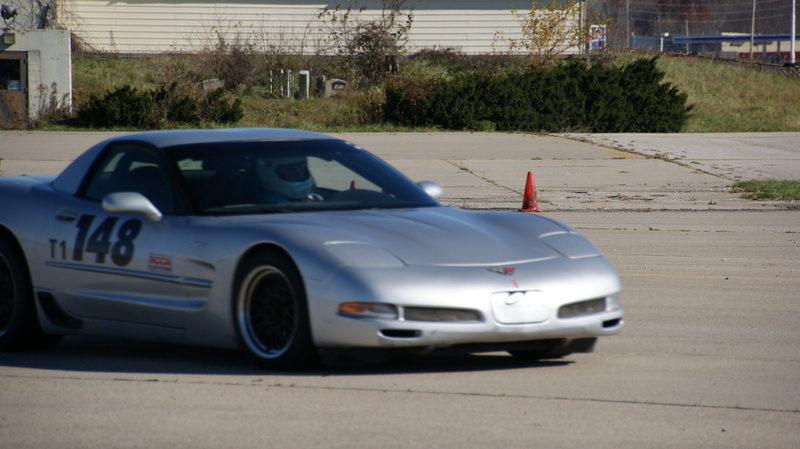 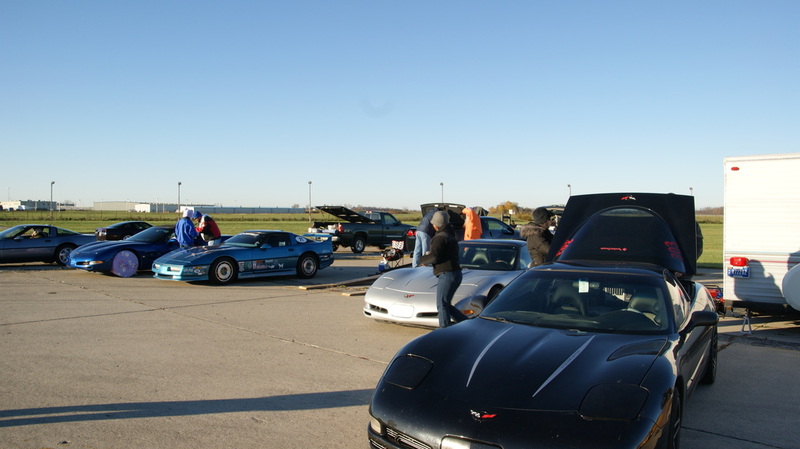 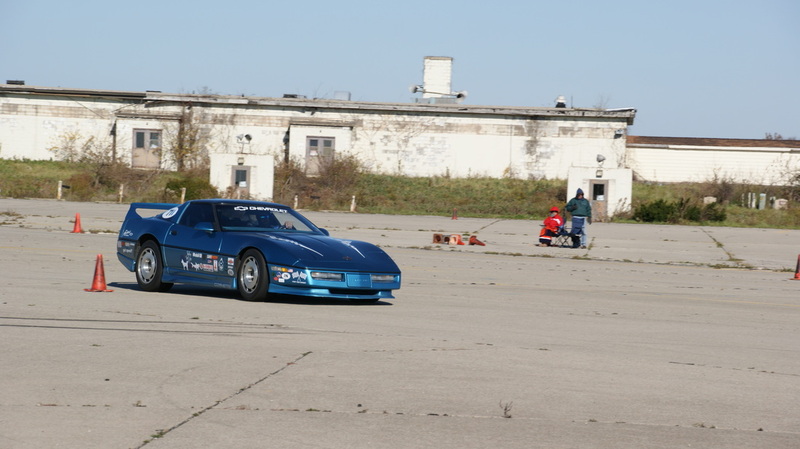 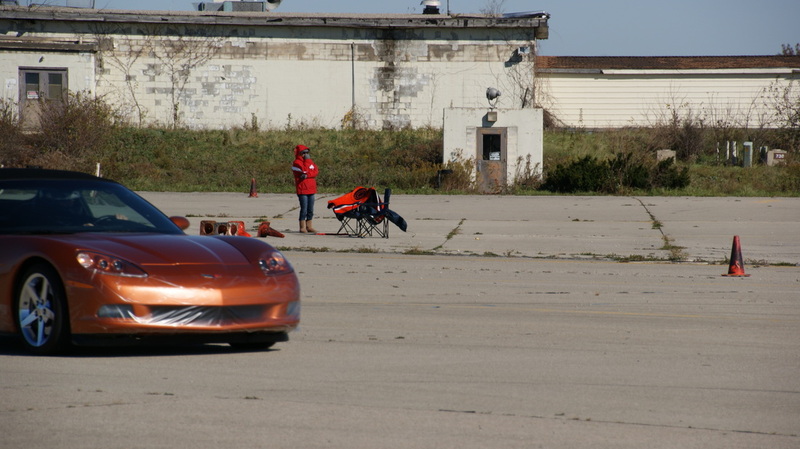 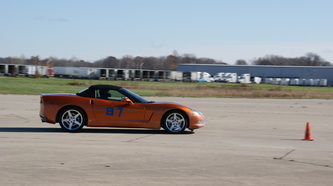 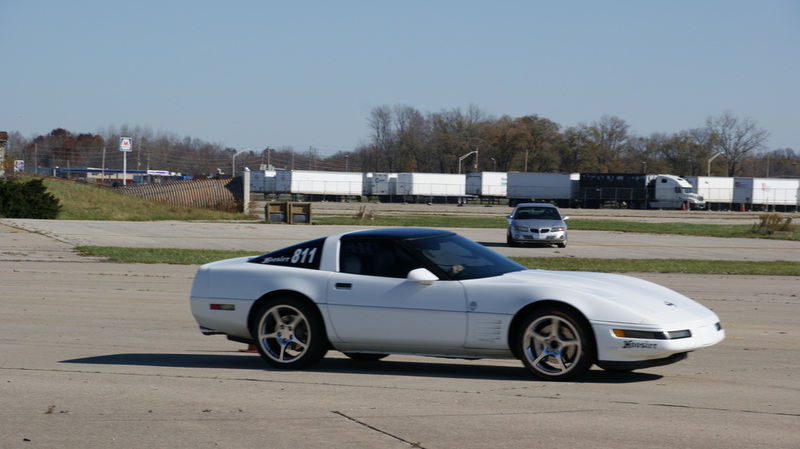 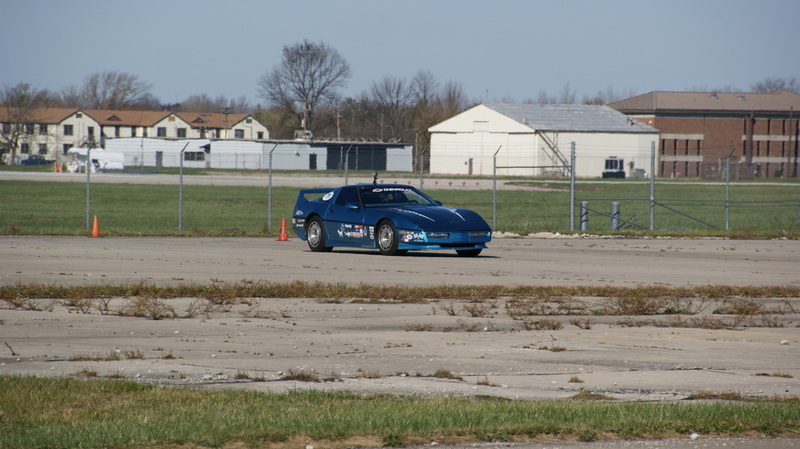 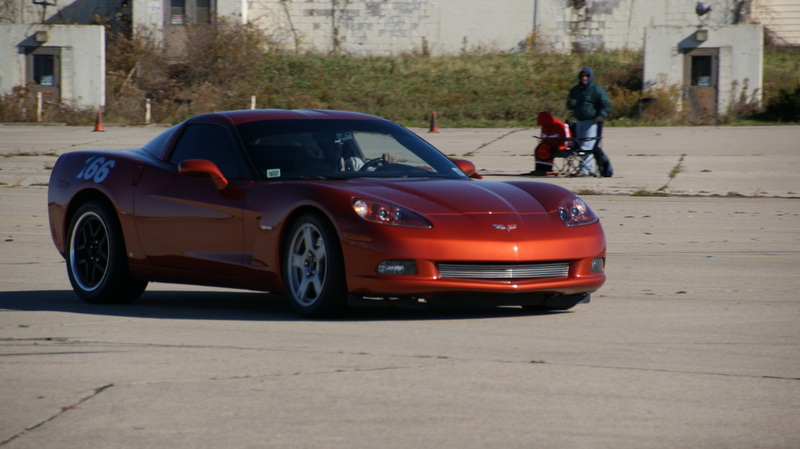 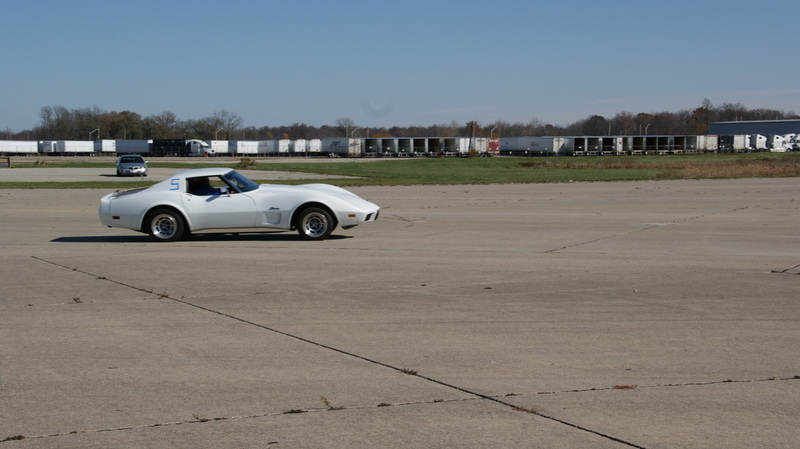 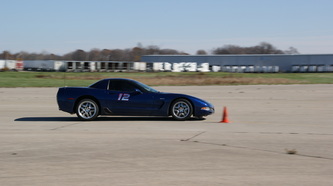 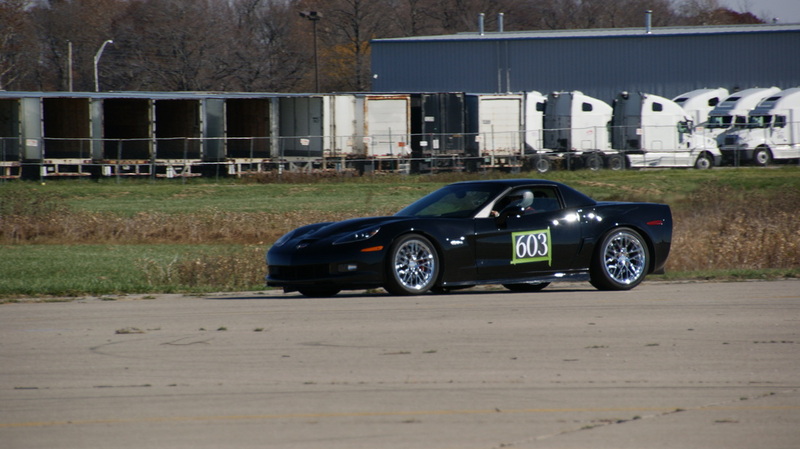 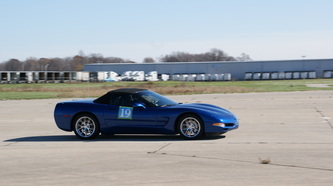 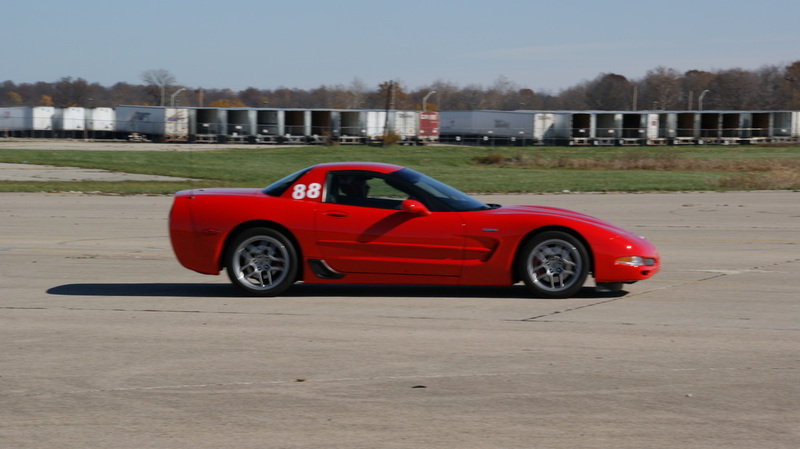 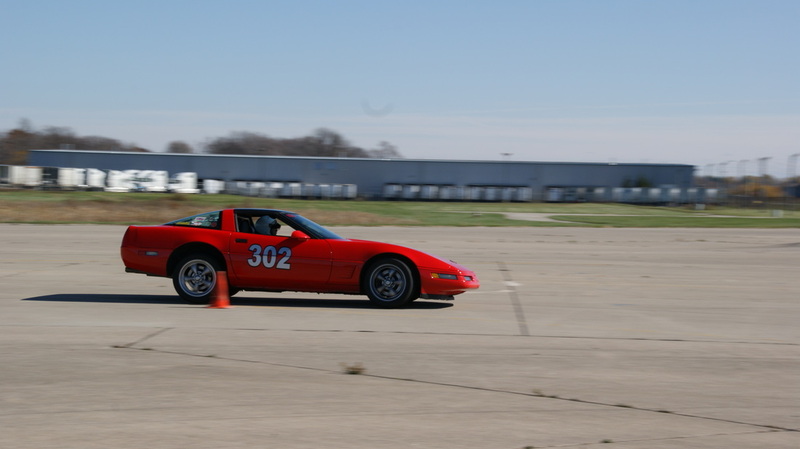 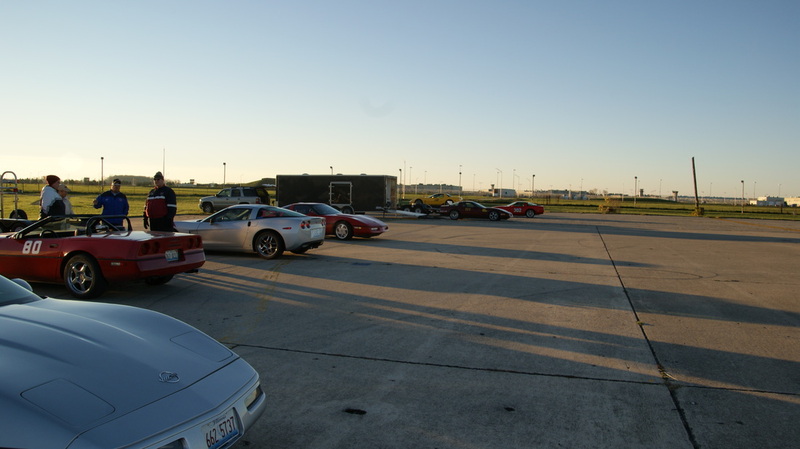 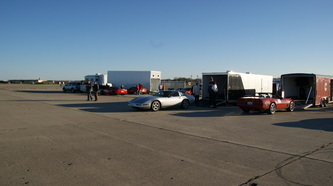 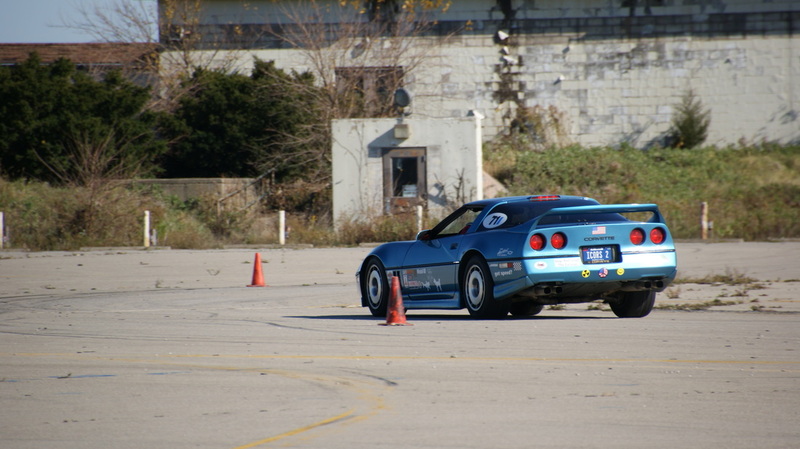 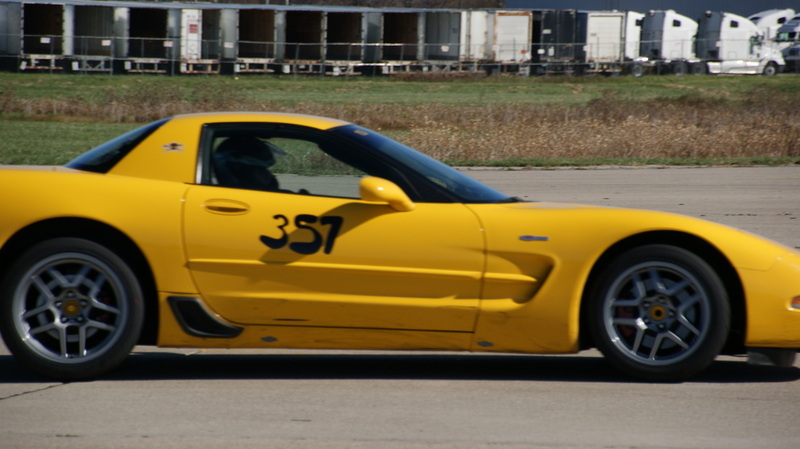 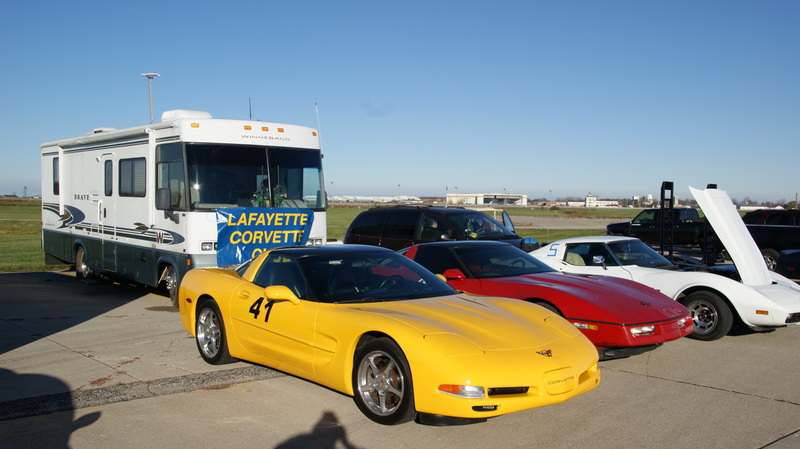 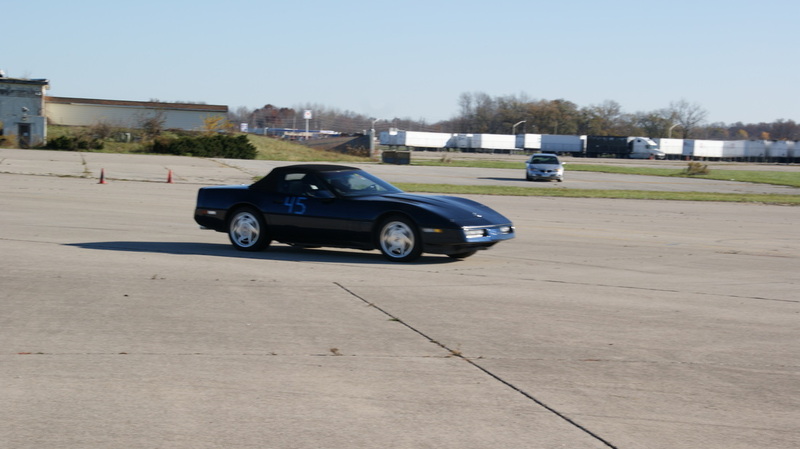 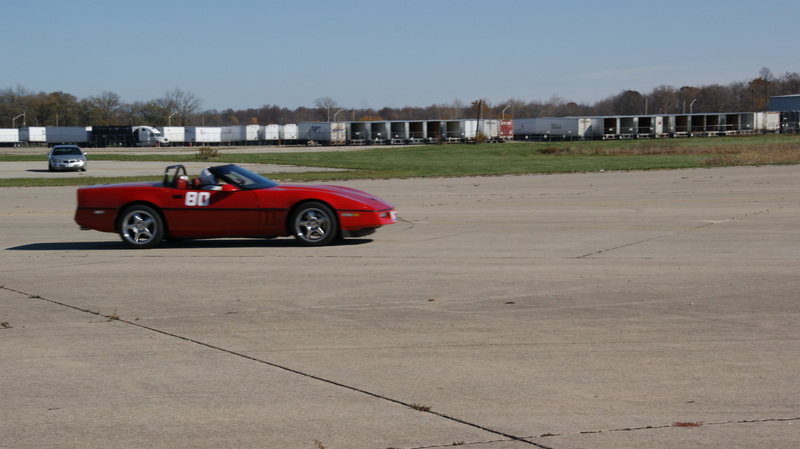 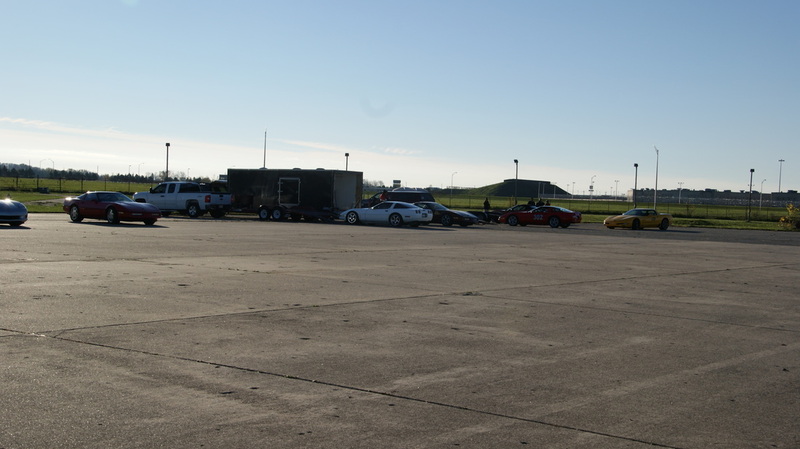 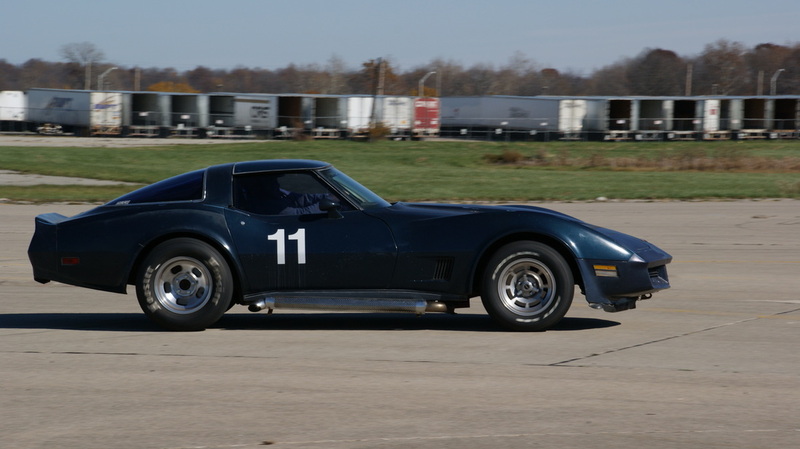 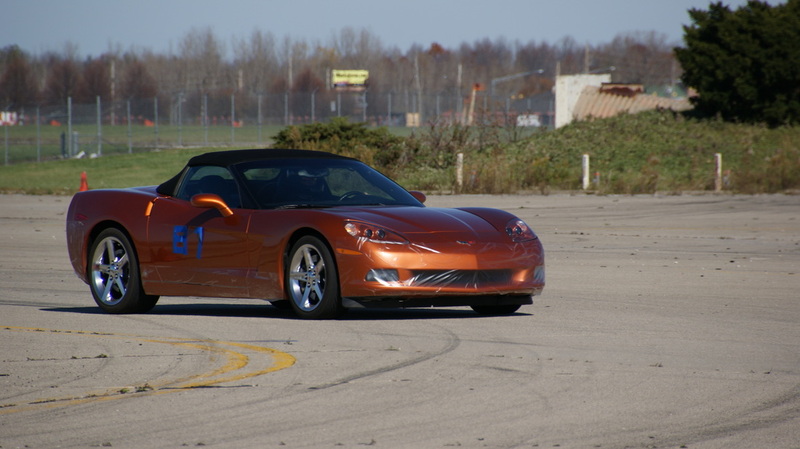 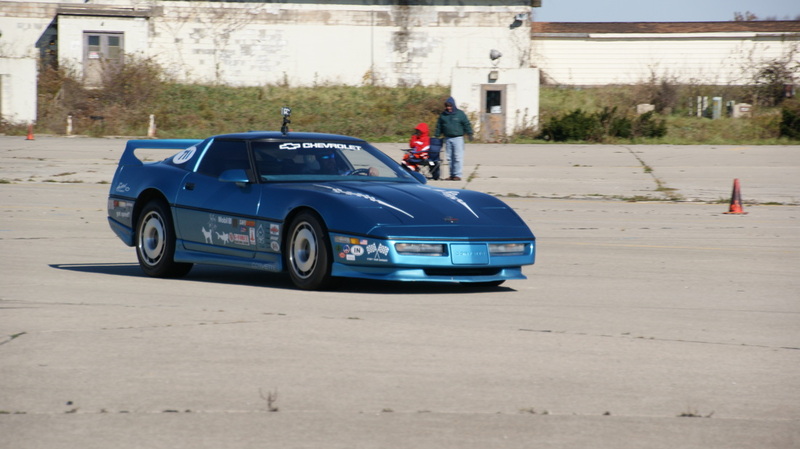 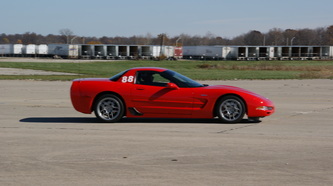 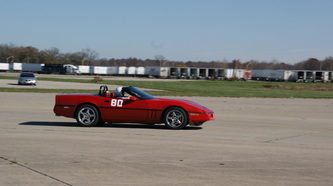 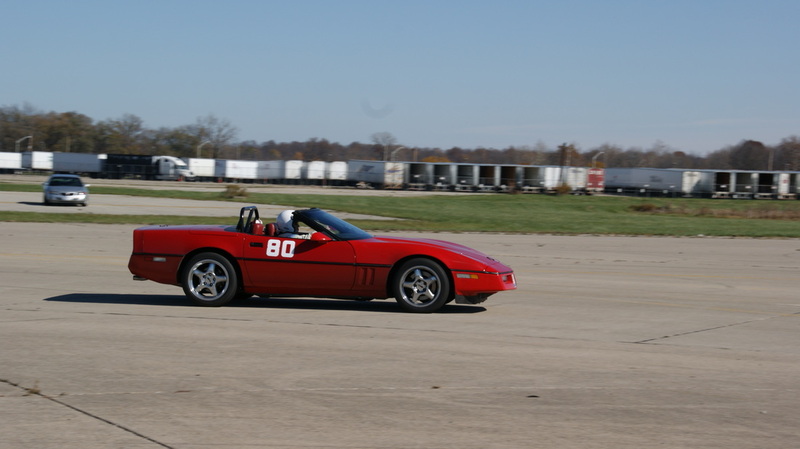 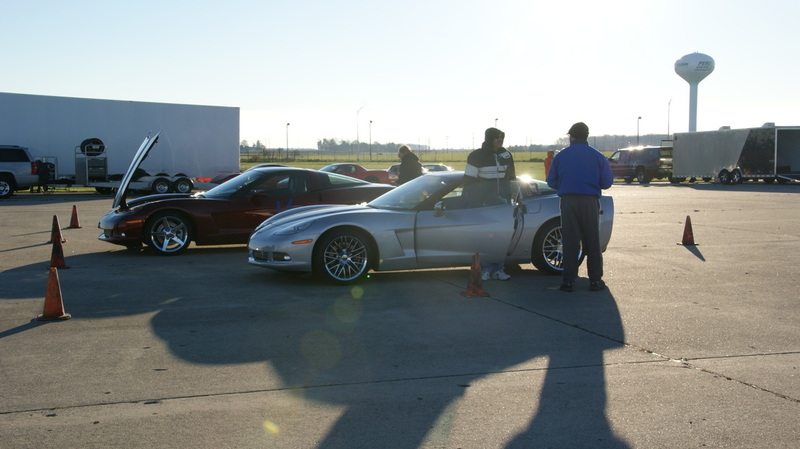 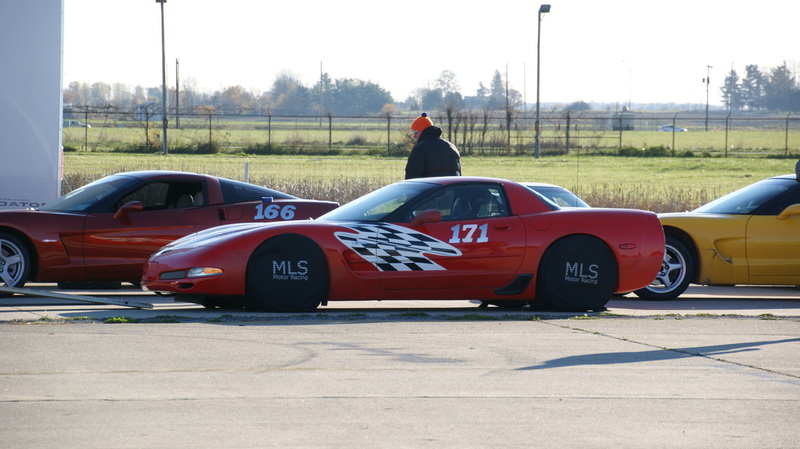 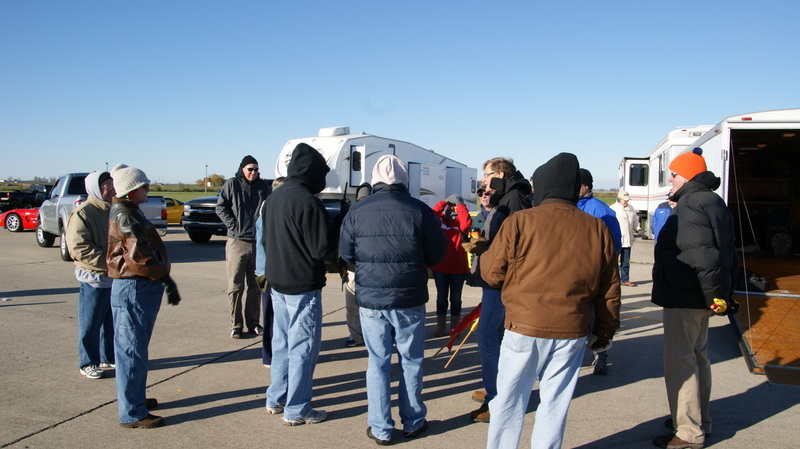 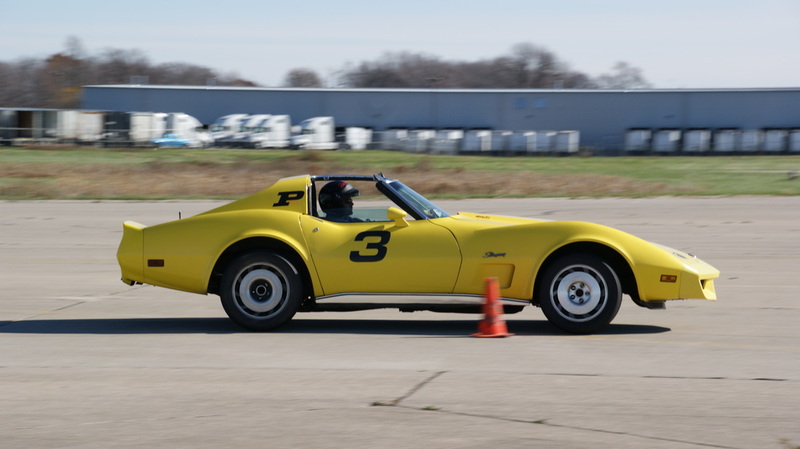 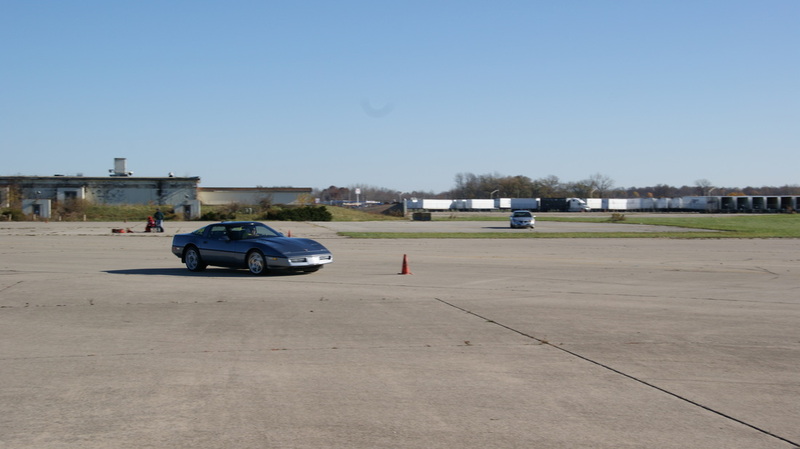 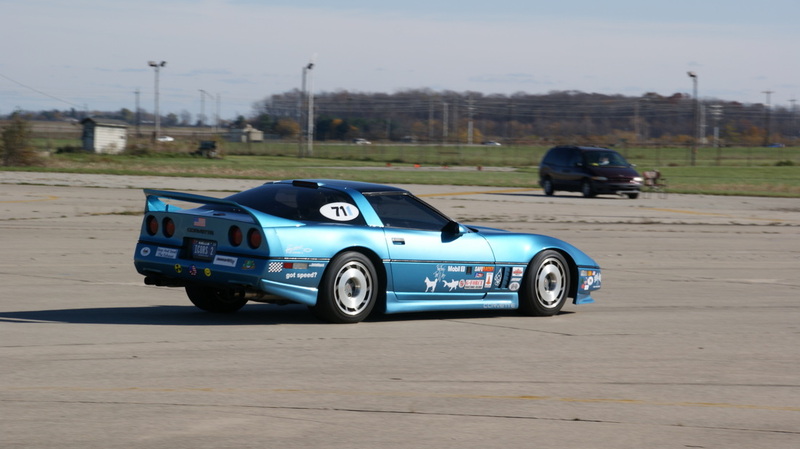 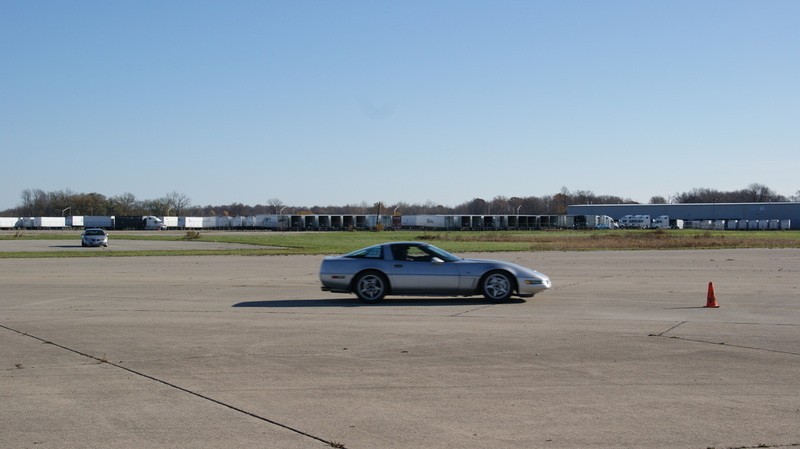 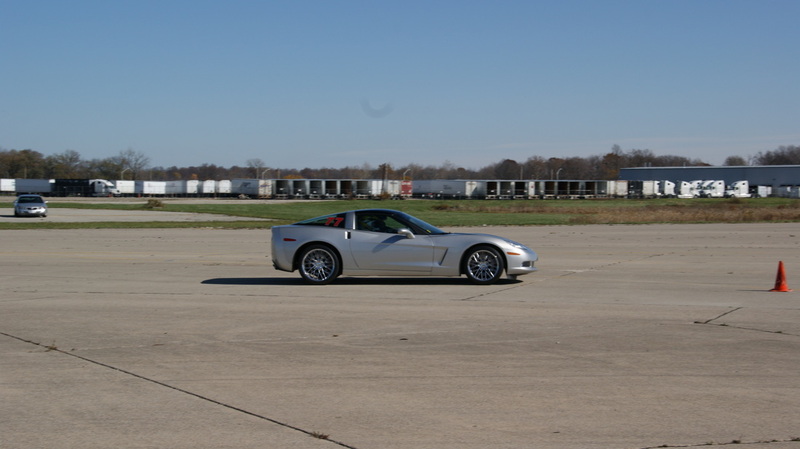 The day at Grissom was sponsored by the Hoosier Corvette Club who had over 15 members in attendance to make the last weekend of racing a success. 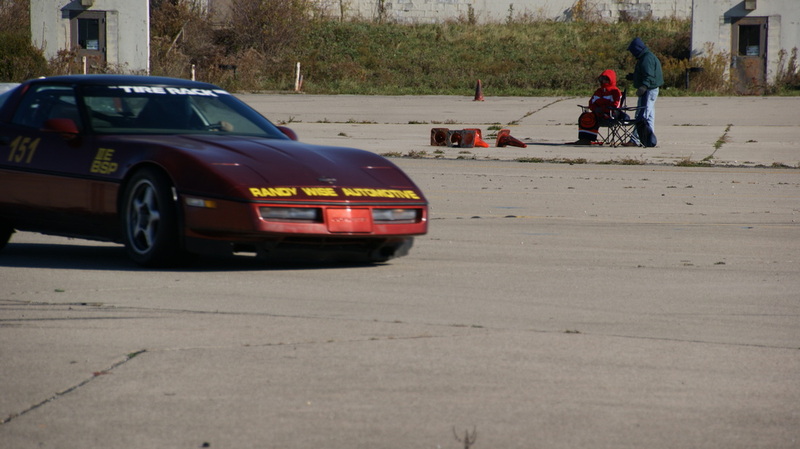 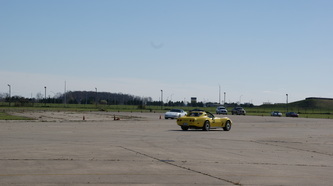 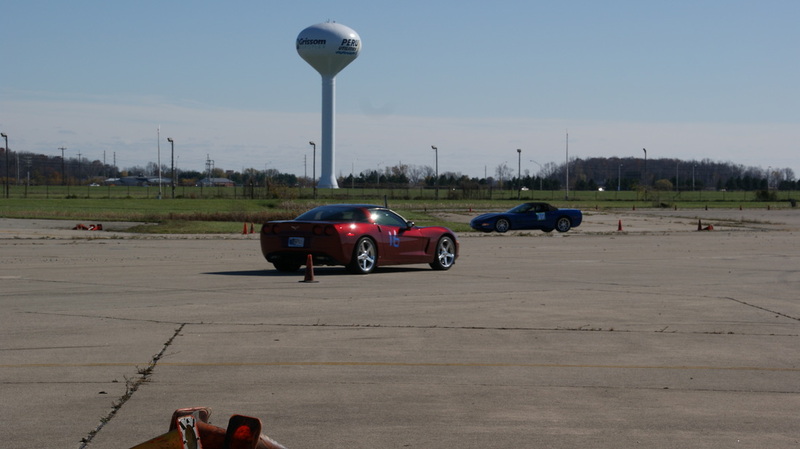 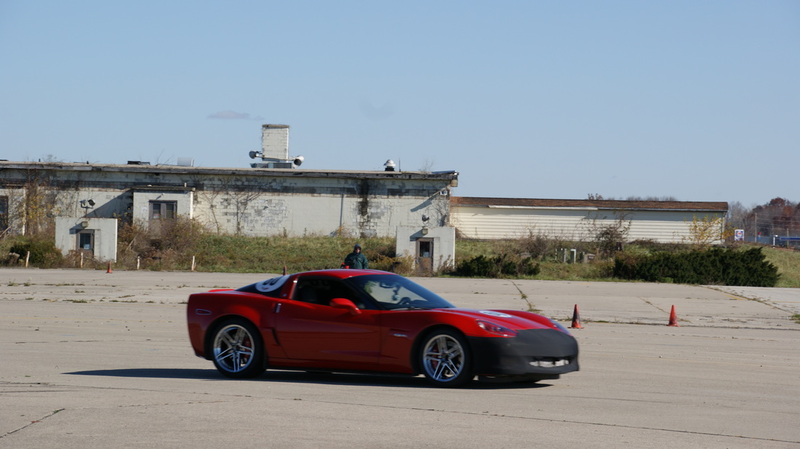 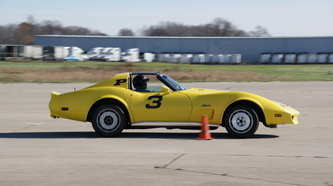 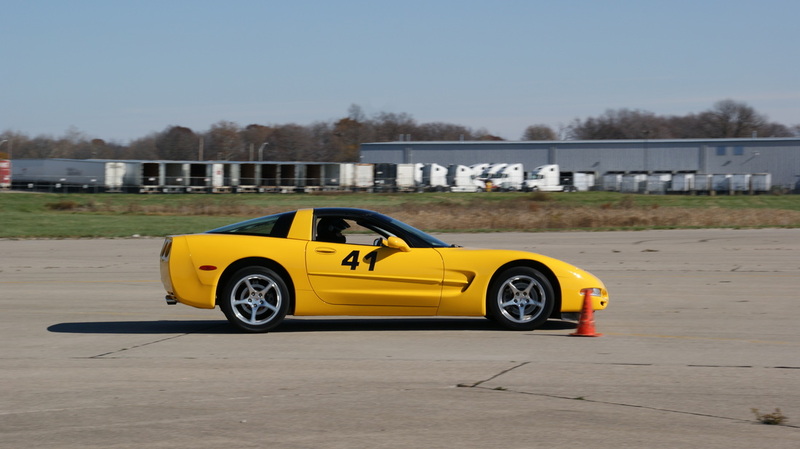 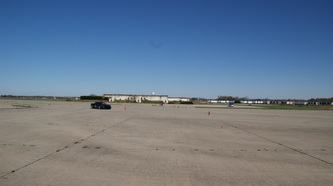 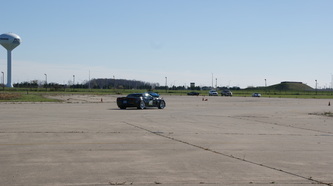 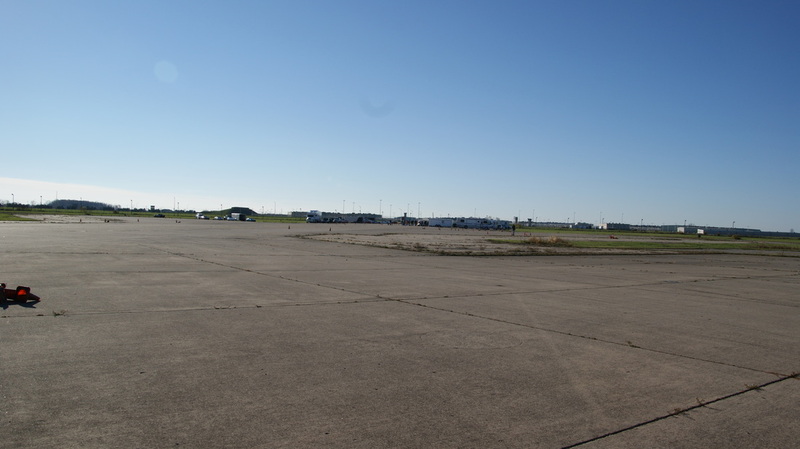 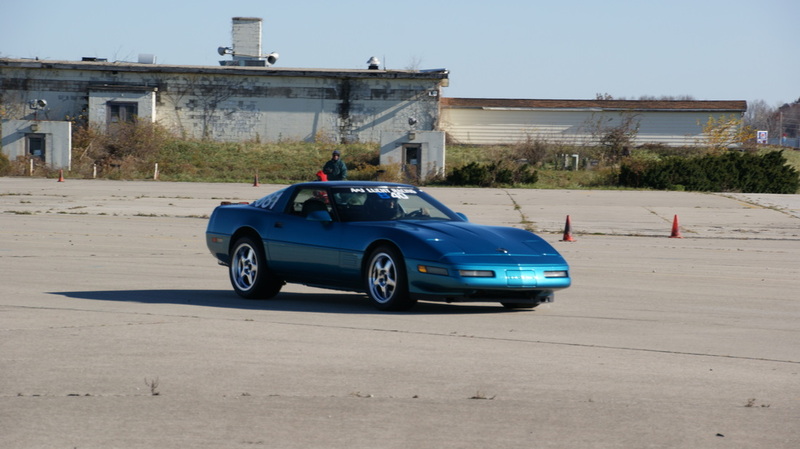 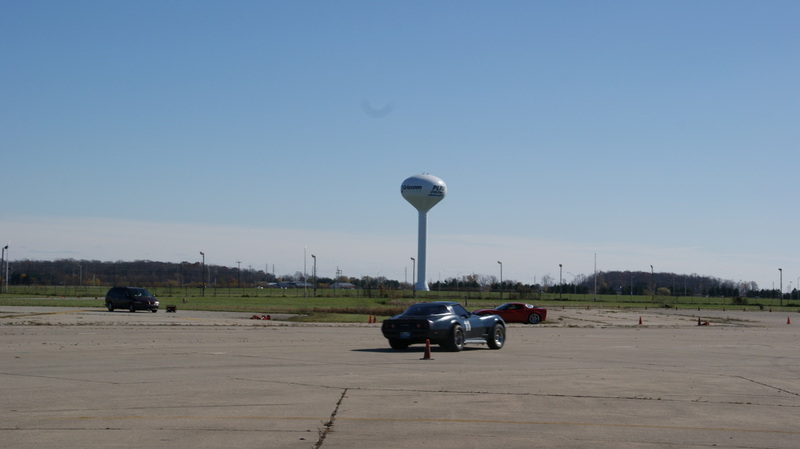 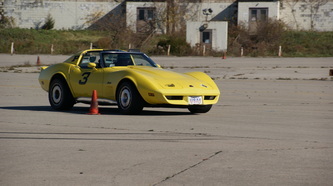 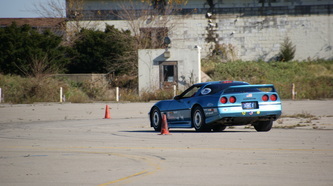 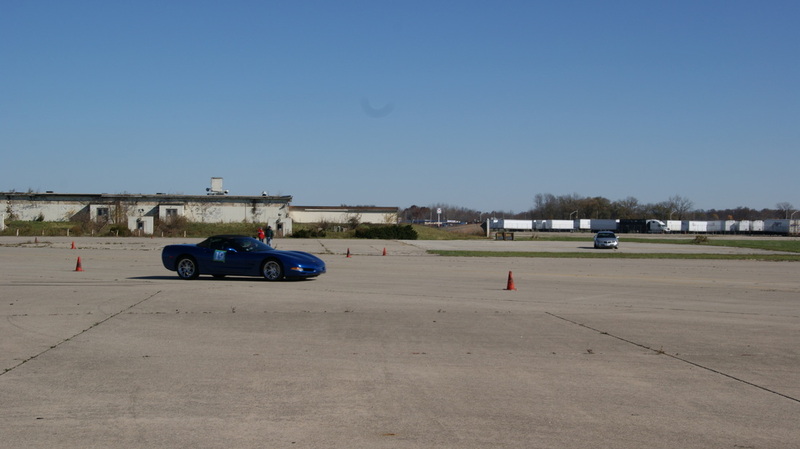 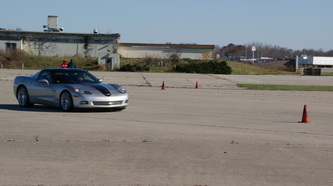 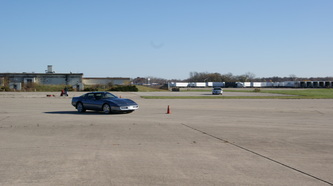 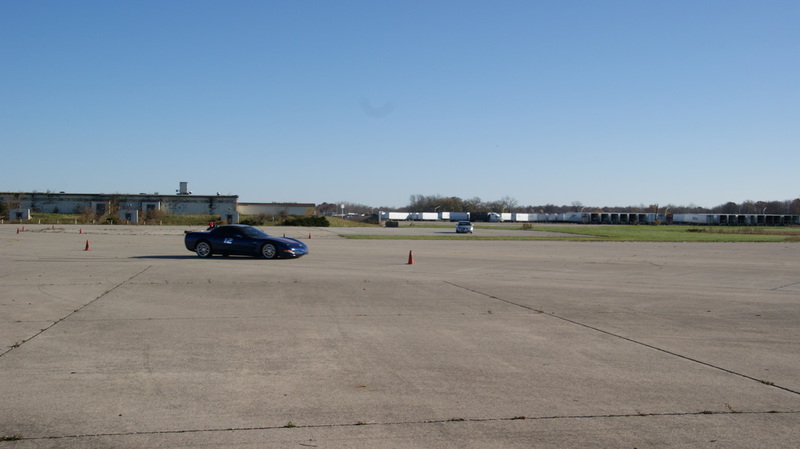 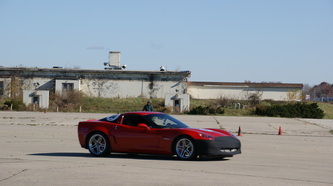 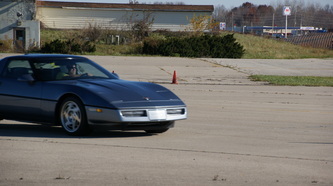 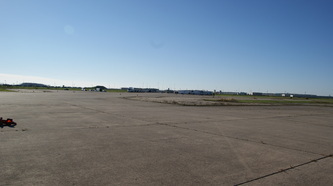 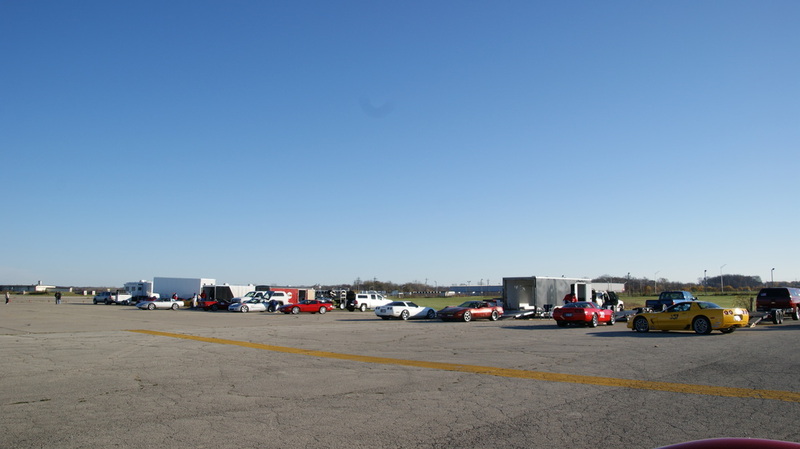 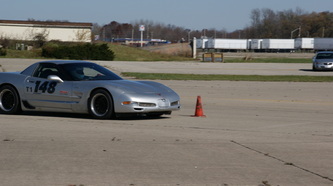 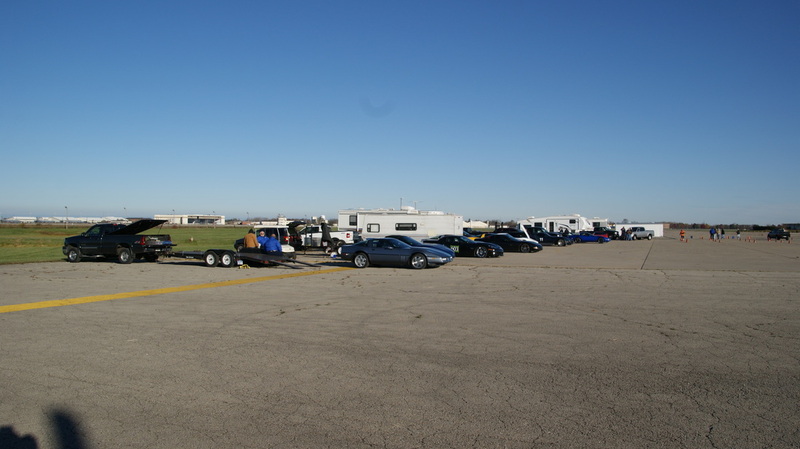 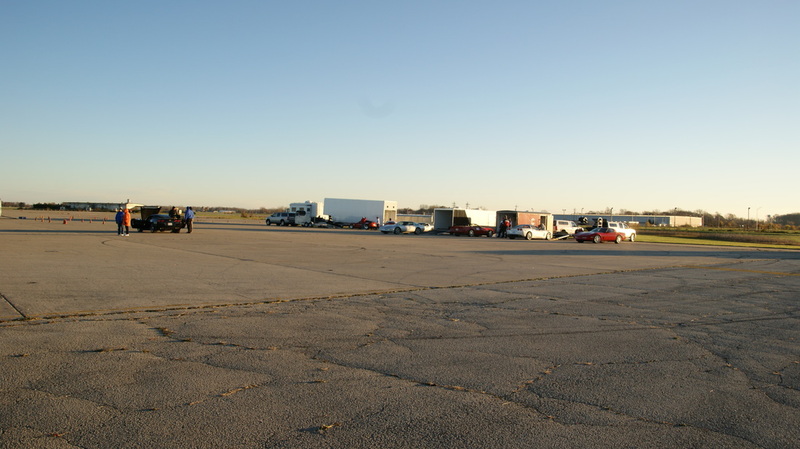 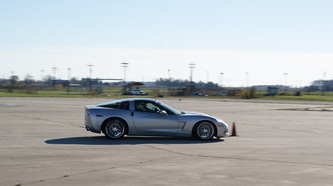 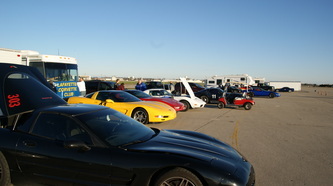 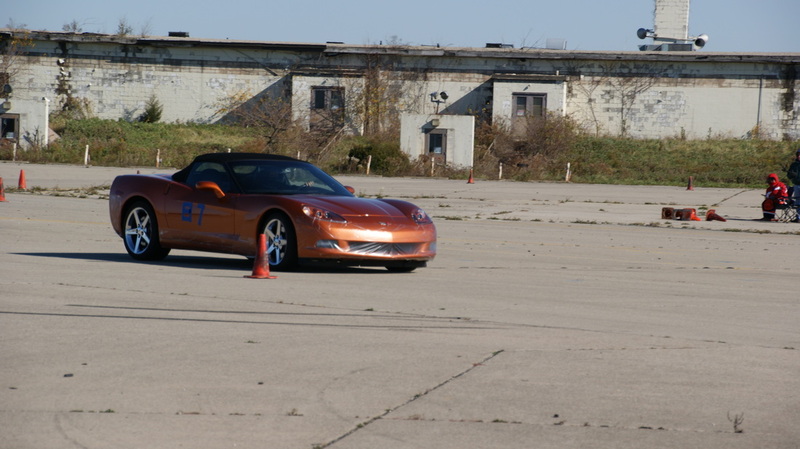 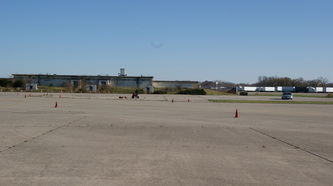 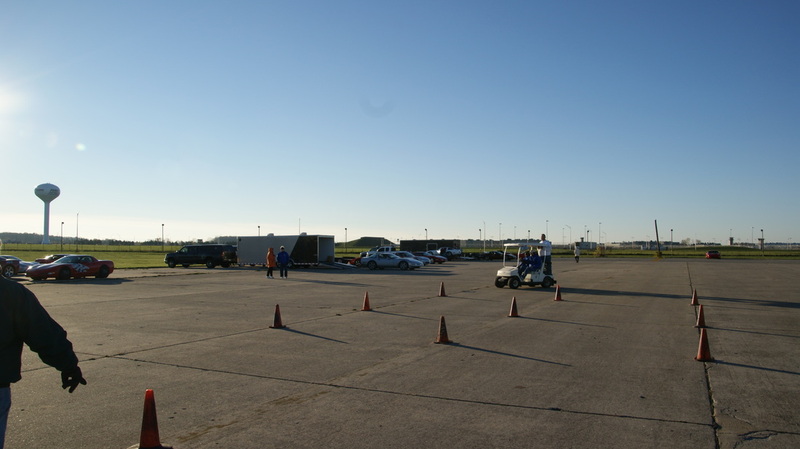 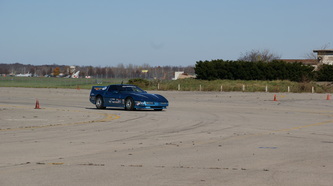 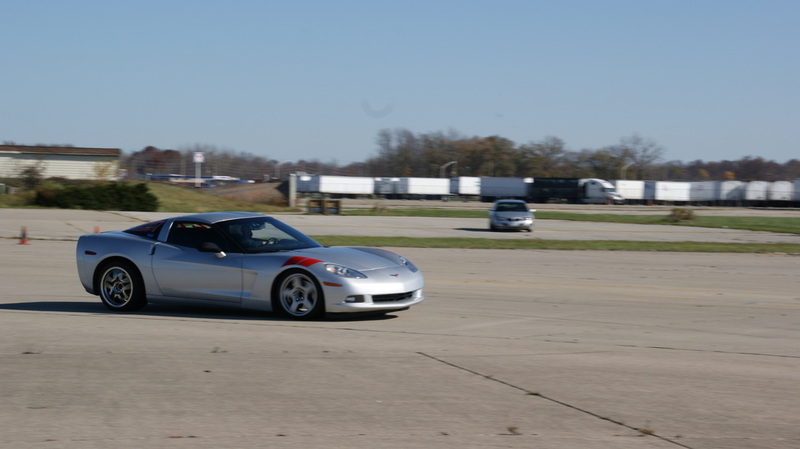 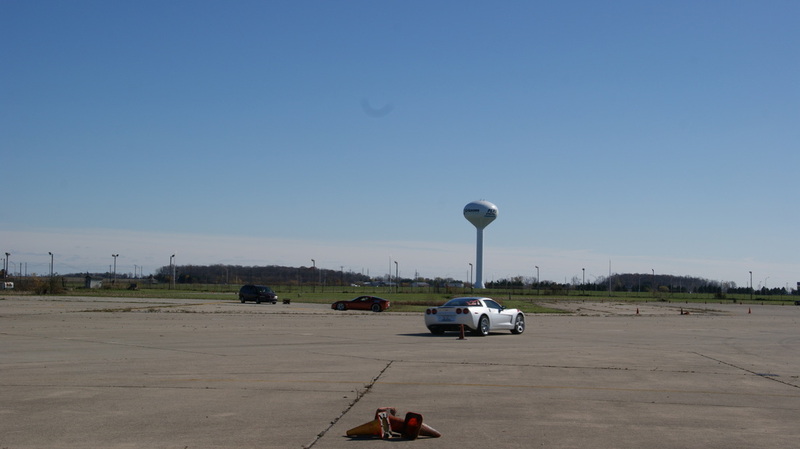 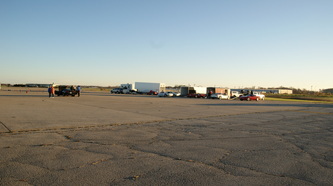 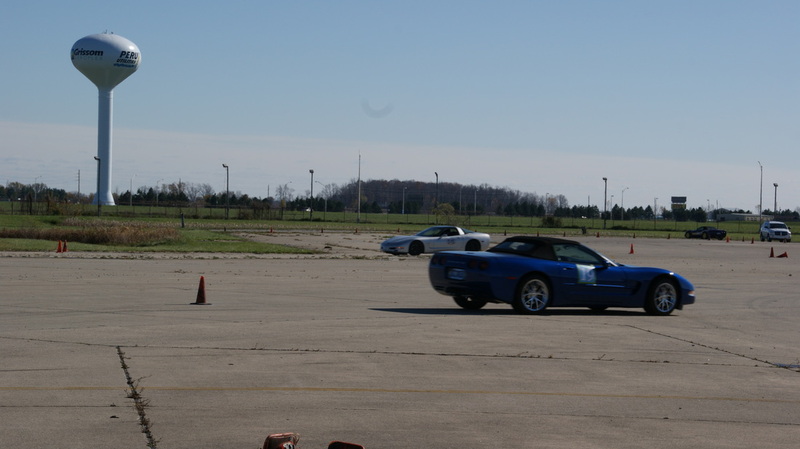 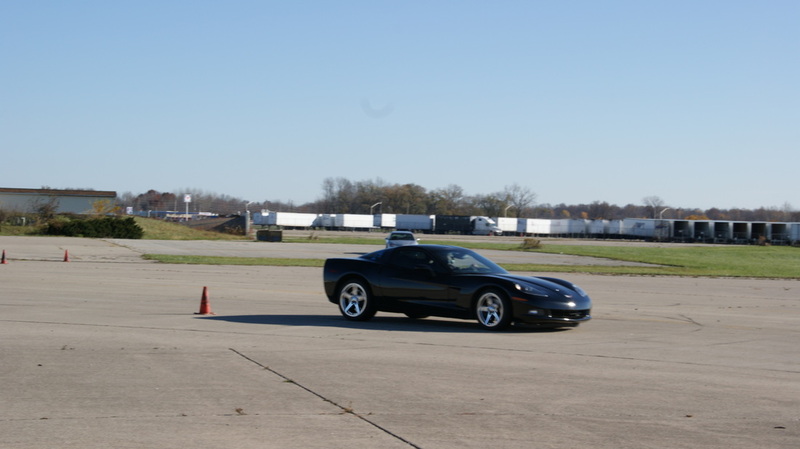 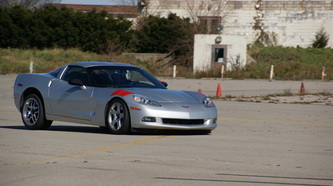 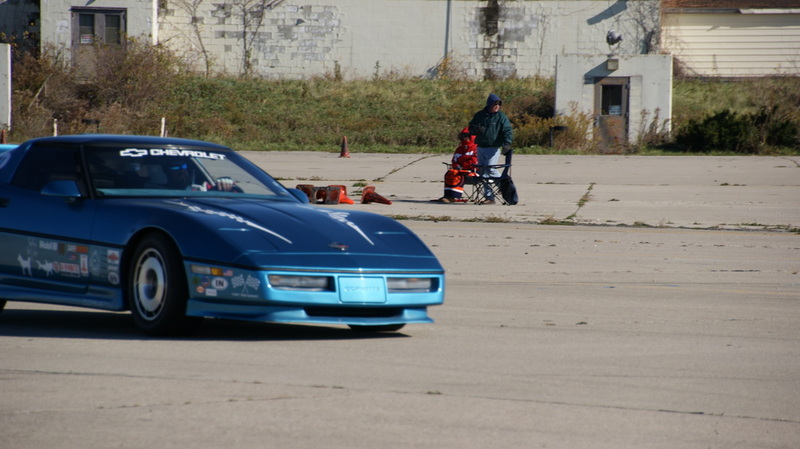 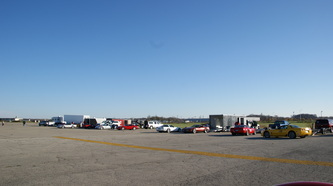 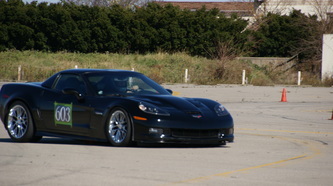 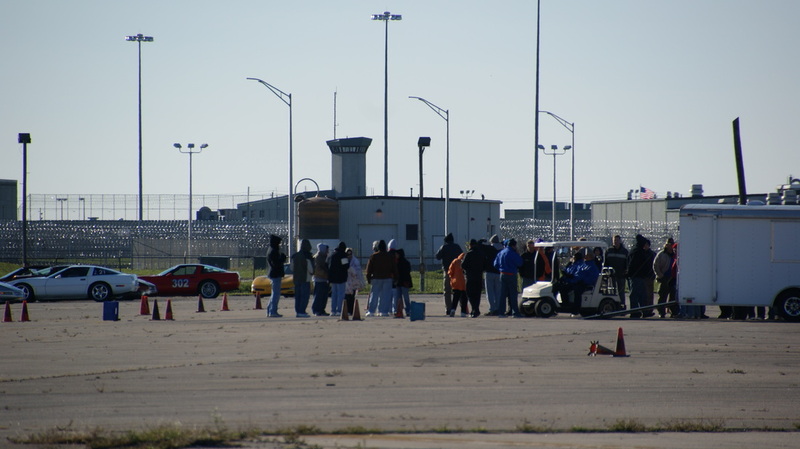 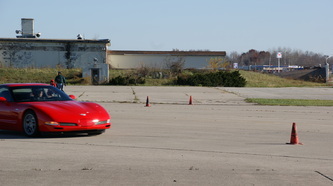 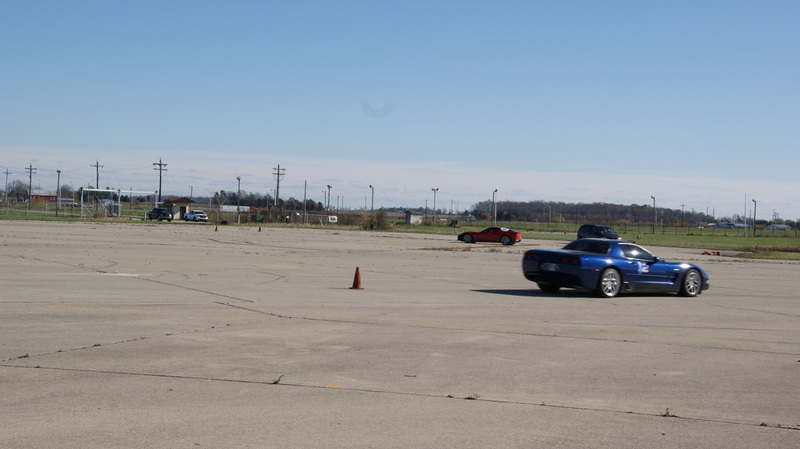 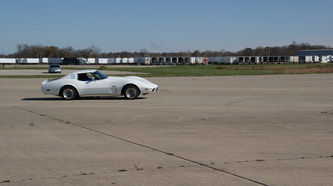 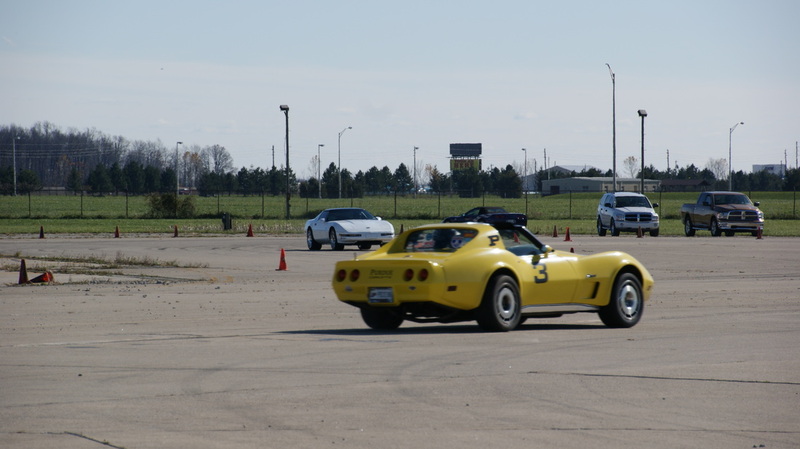 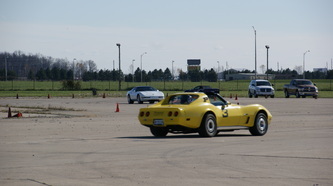 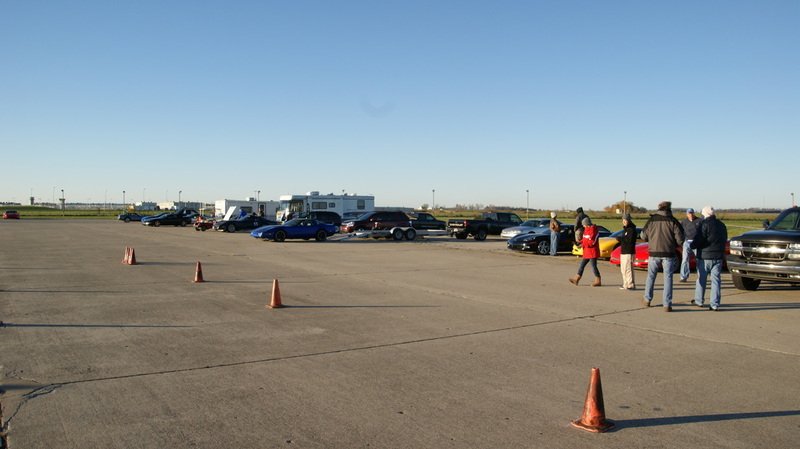 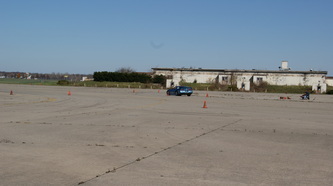 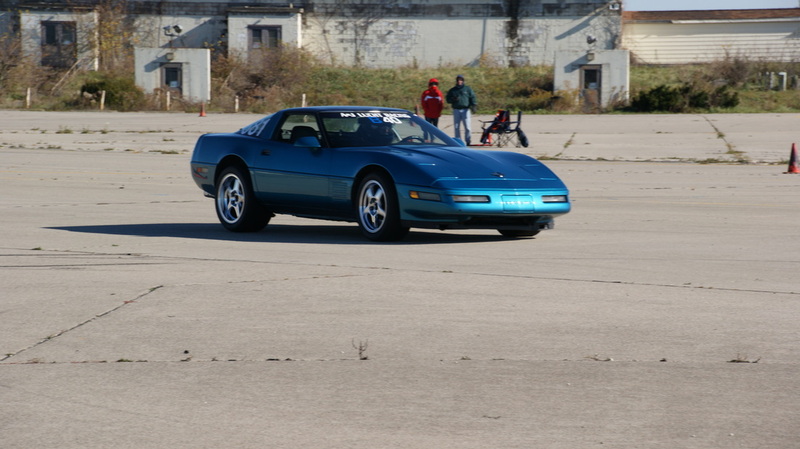 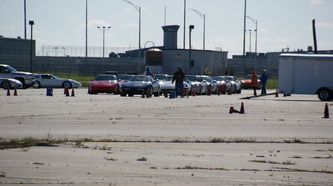 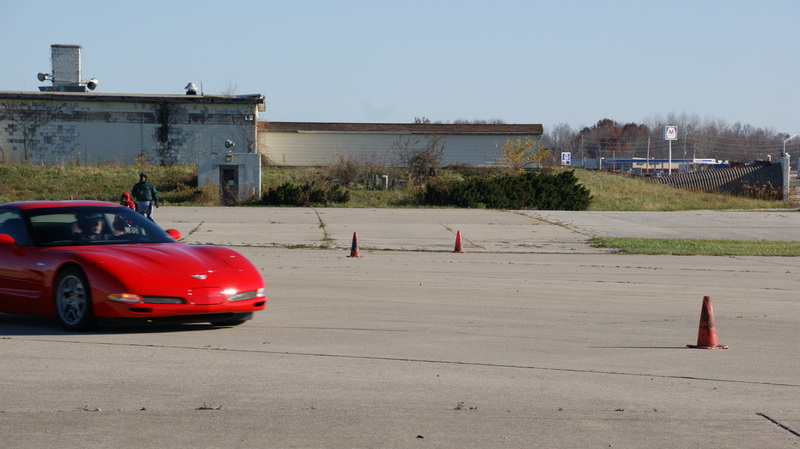 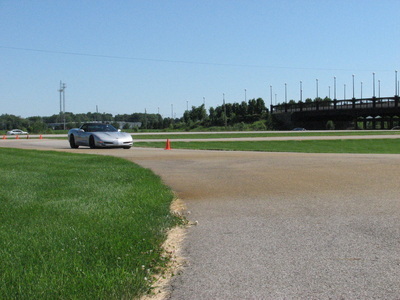 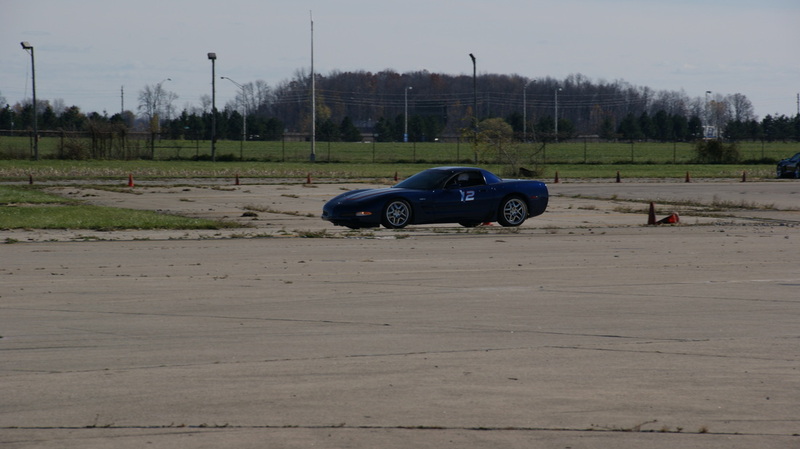 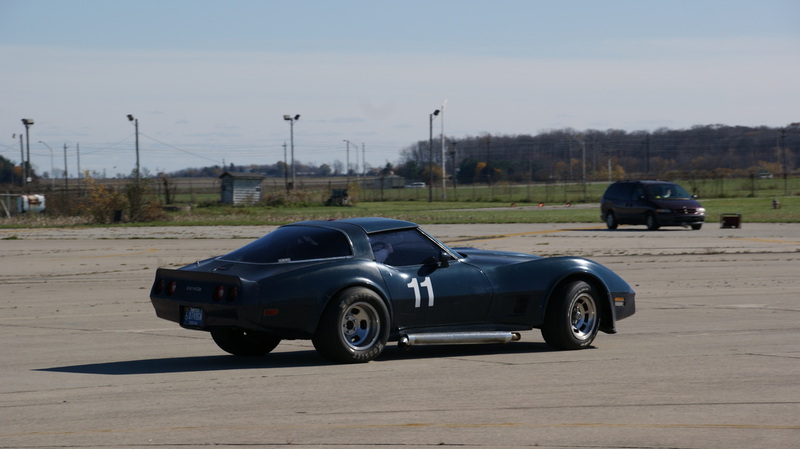 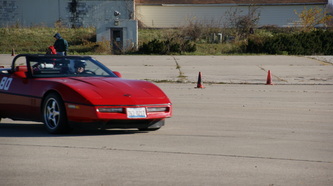 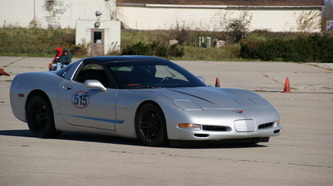 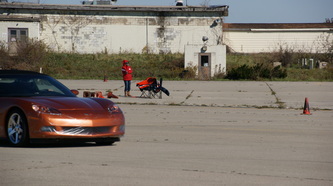 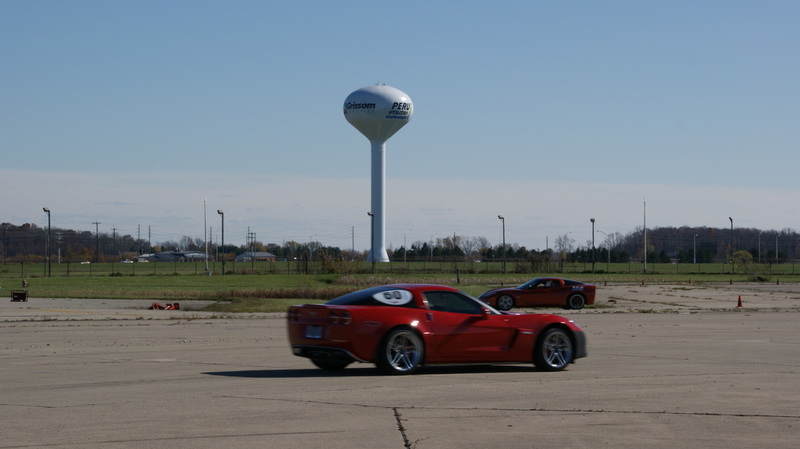 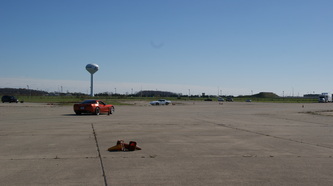 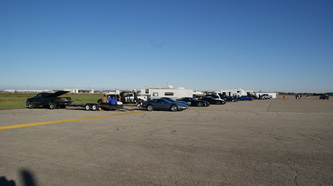 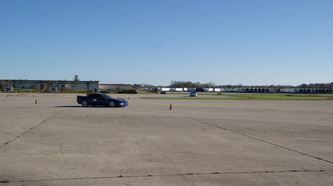 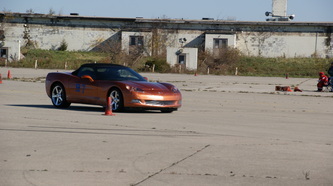 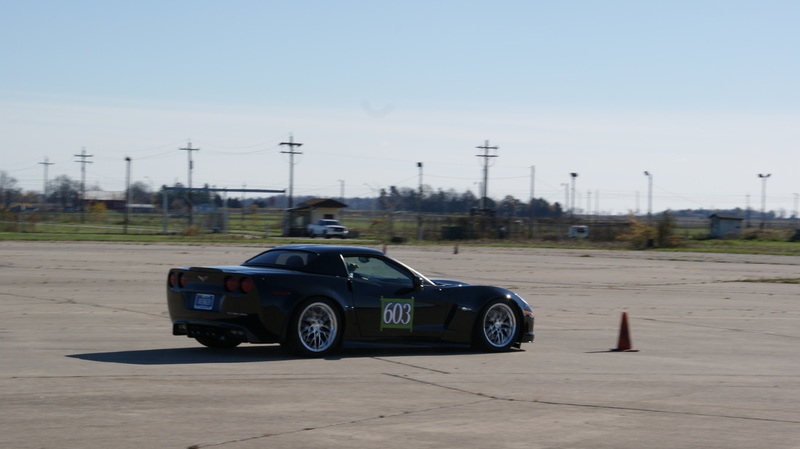 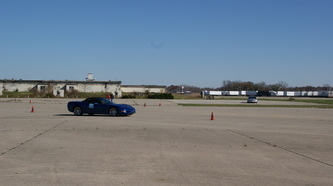 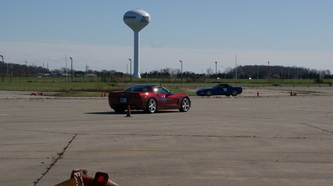 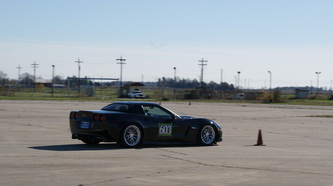 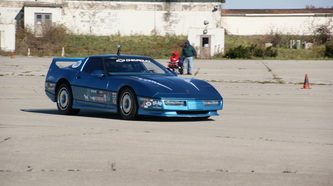 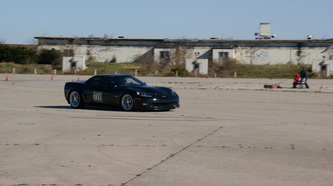 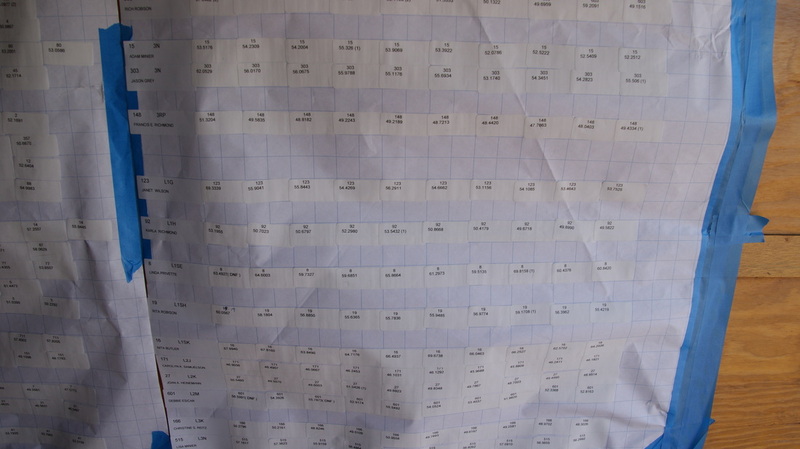 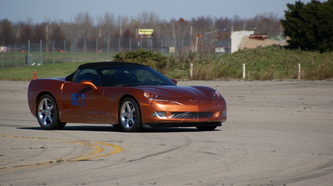 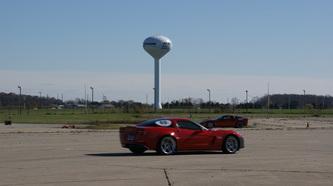 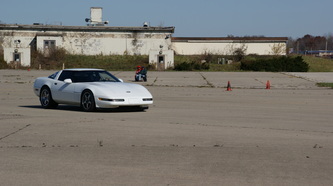 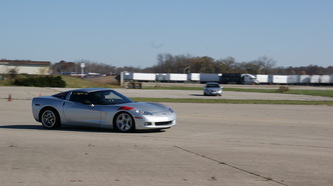 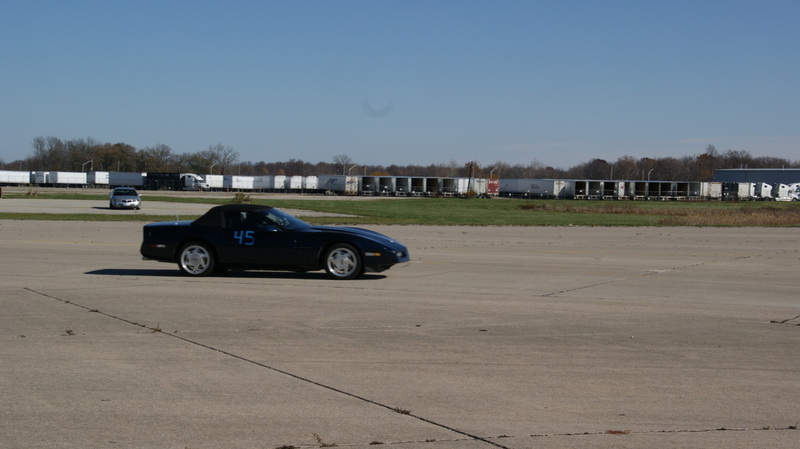 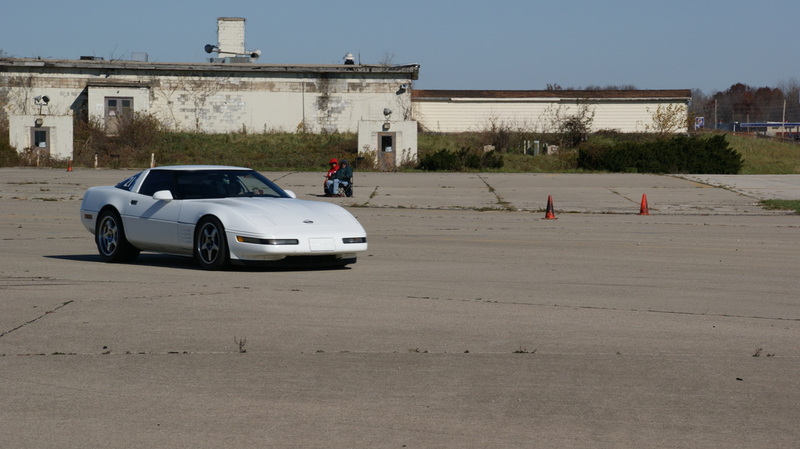 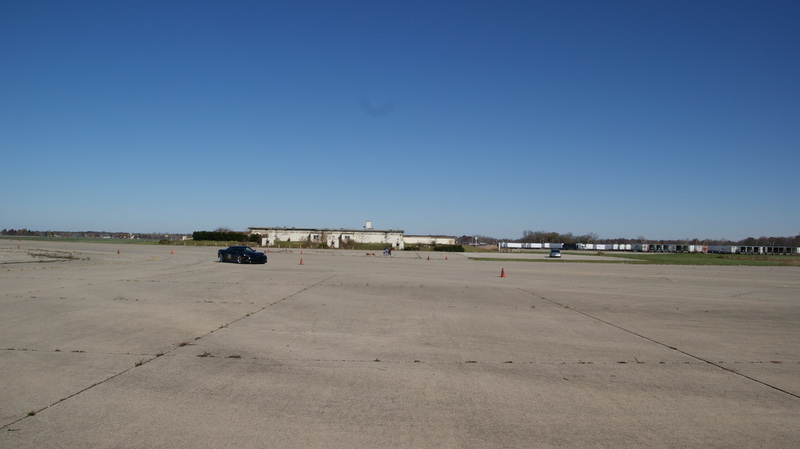 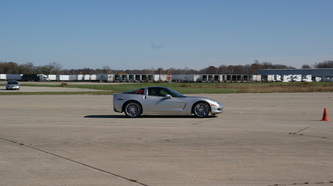 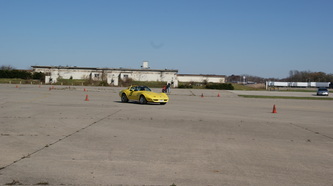 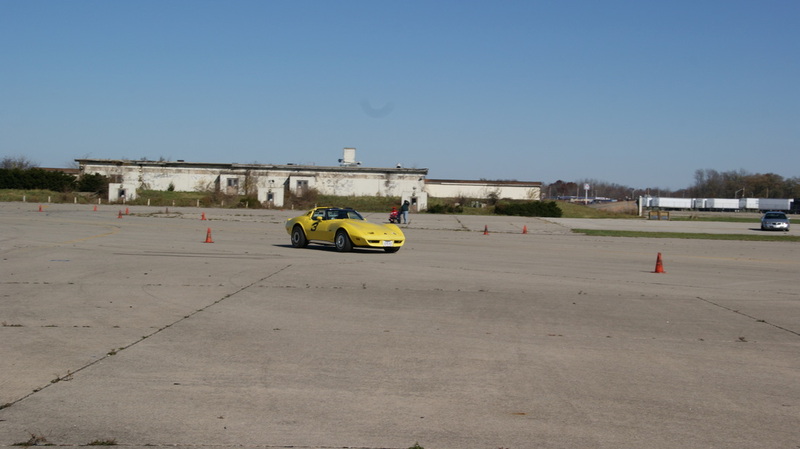 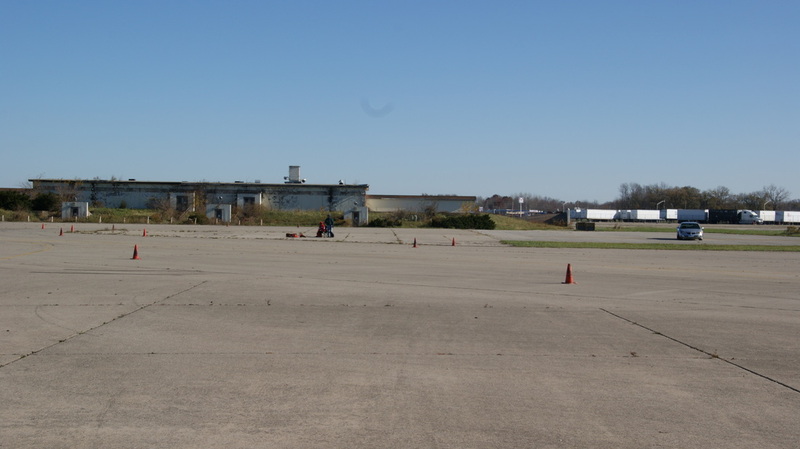 Forty two competitors made the Five Event Autocross part of the day. 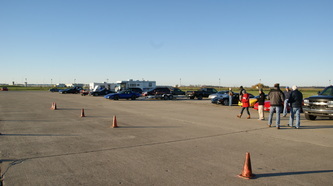 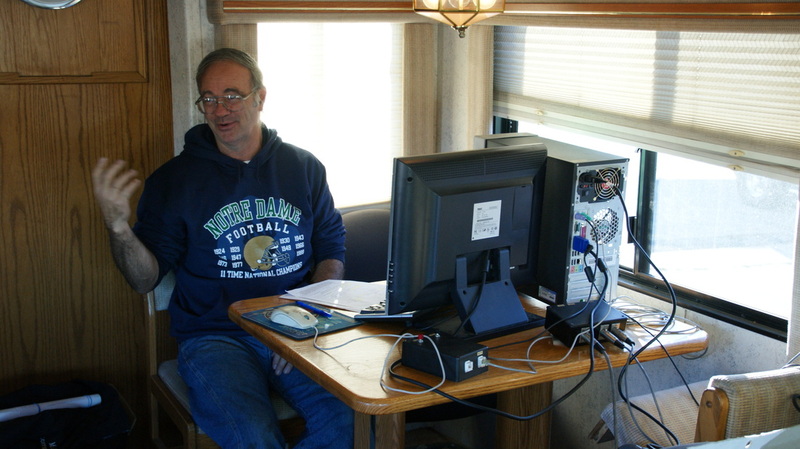 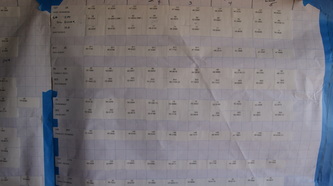 Later in the evening there was the annual Rallies, run by many of the day's competitors. 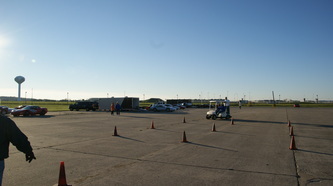 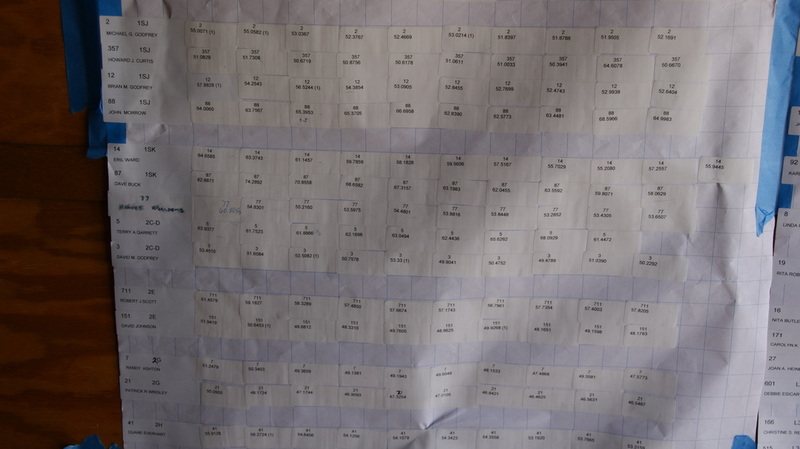 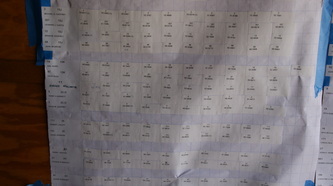 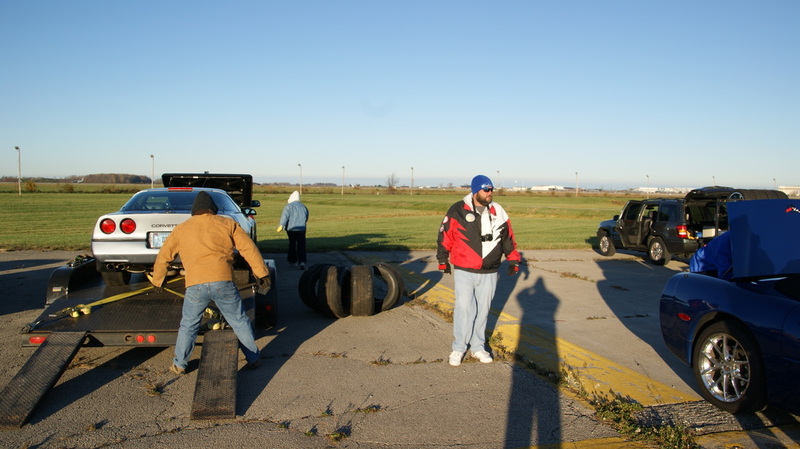 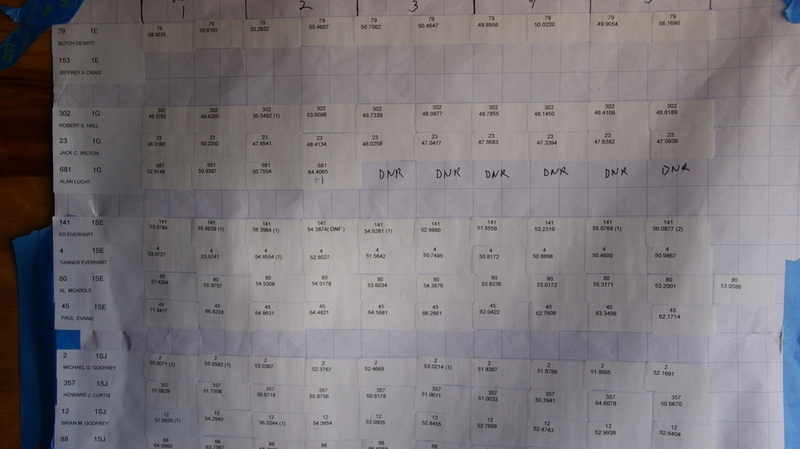 The pictures below are from the pits and slalom section of the course.